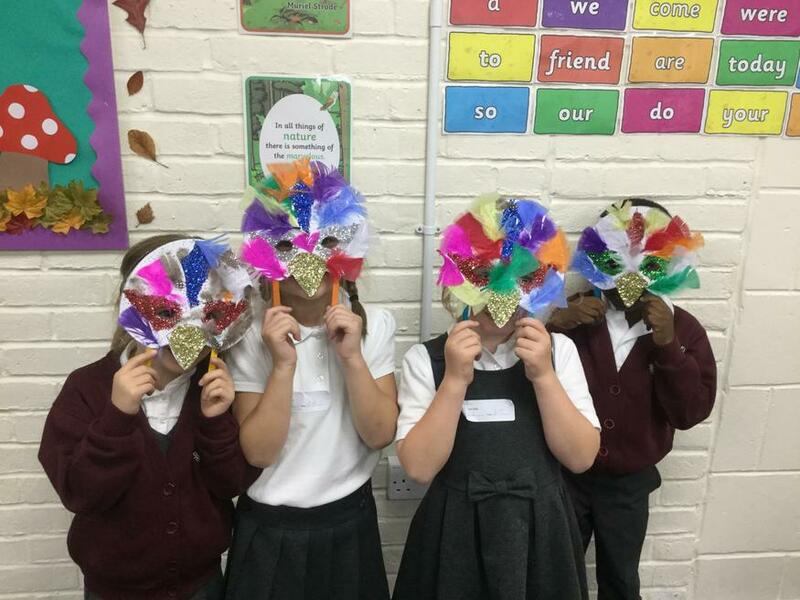 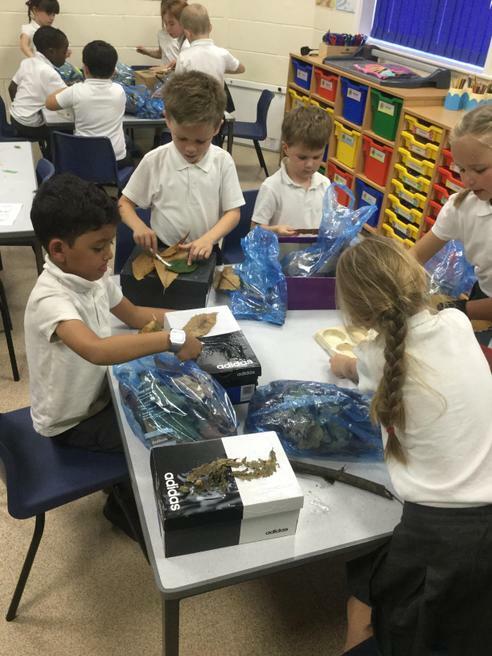 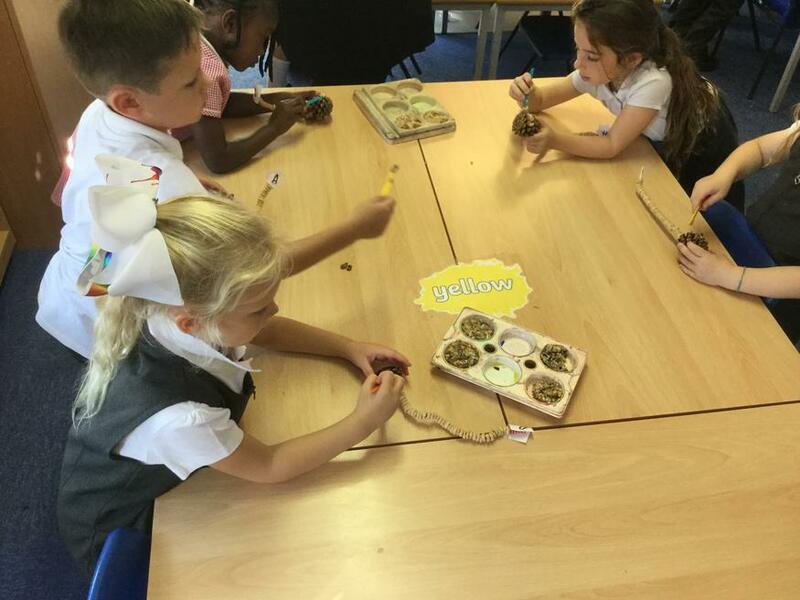 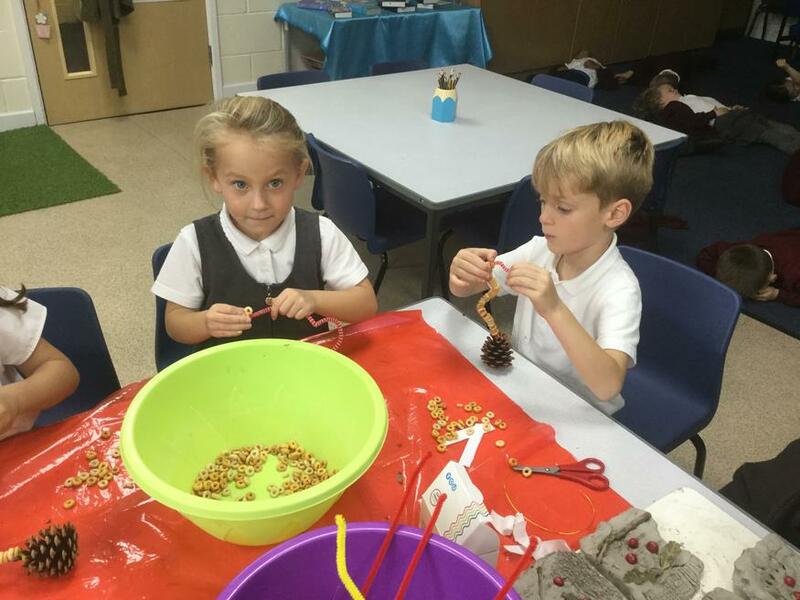 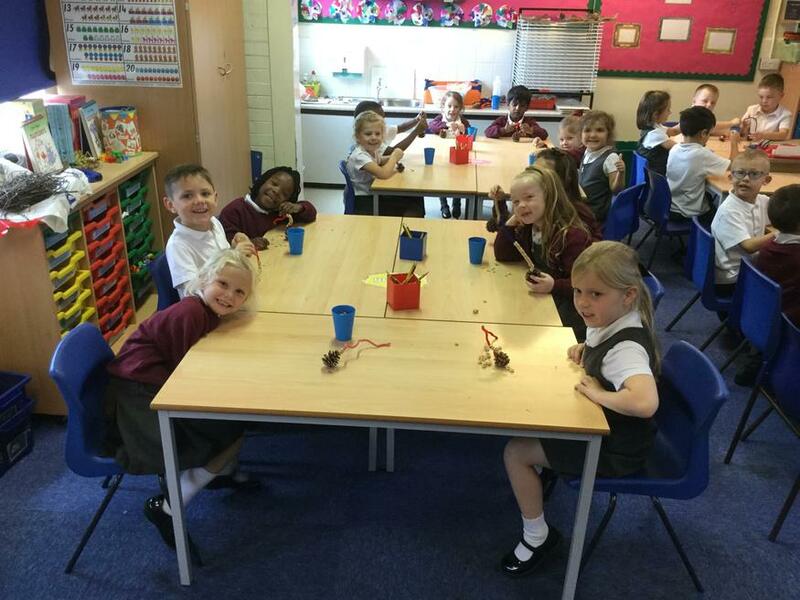 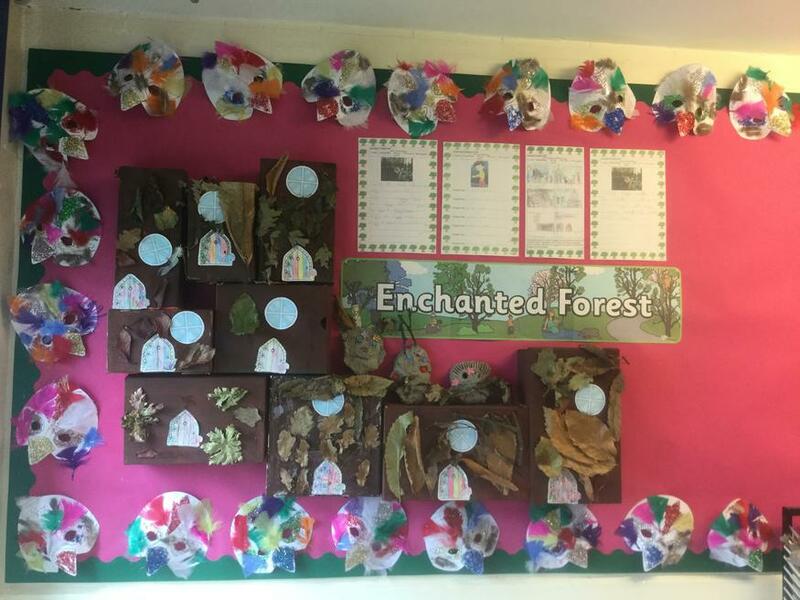 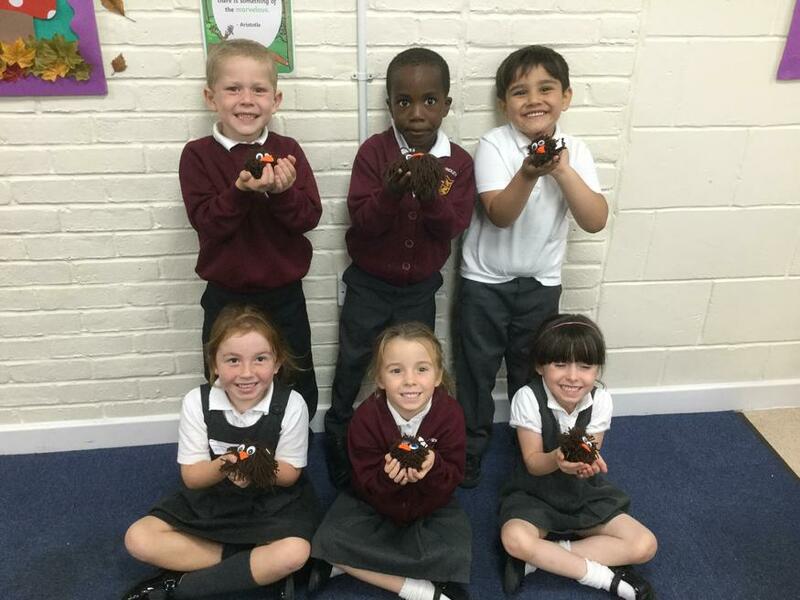 This term in Cornerstones, Year 1 have been studying the topic of The Enchanted Woodland. 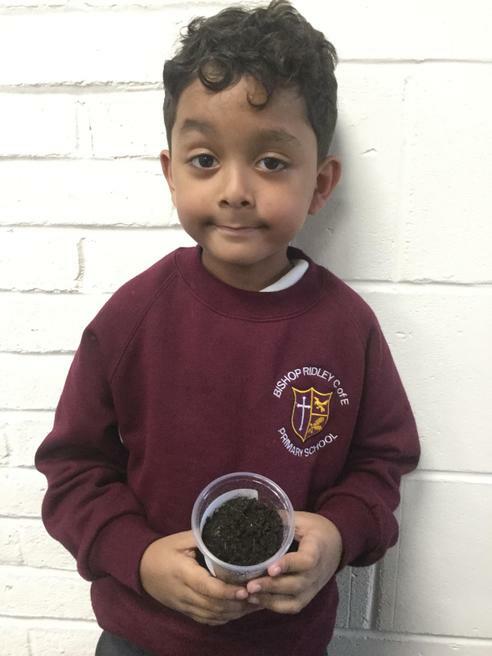 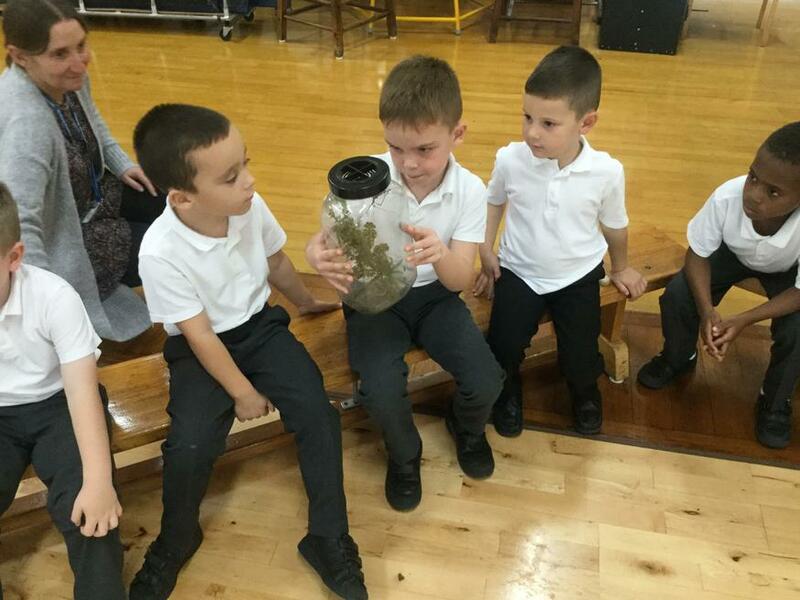 They have been learning about the various types of plants that grow in this environment and have investigated the similarities and differences between them. 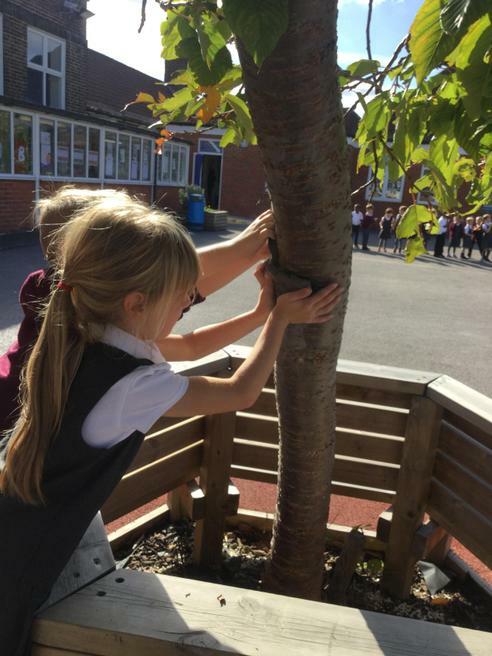 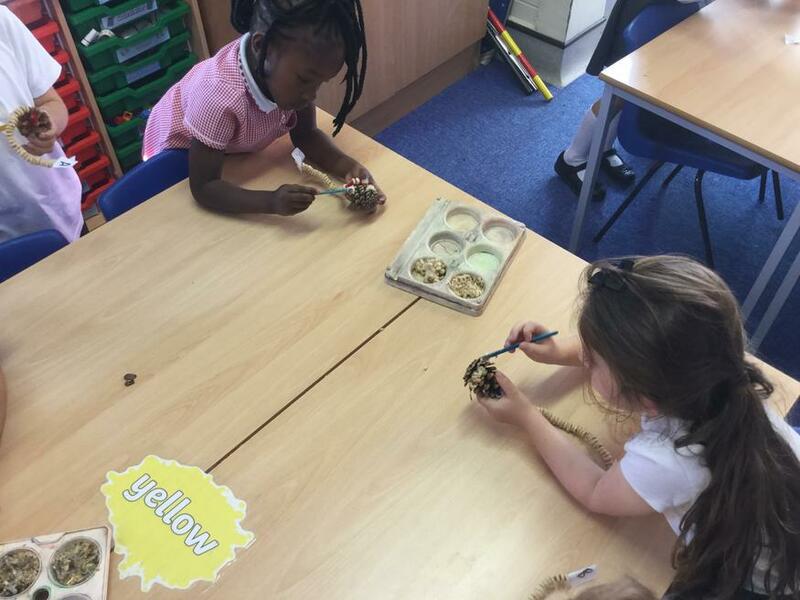 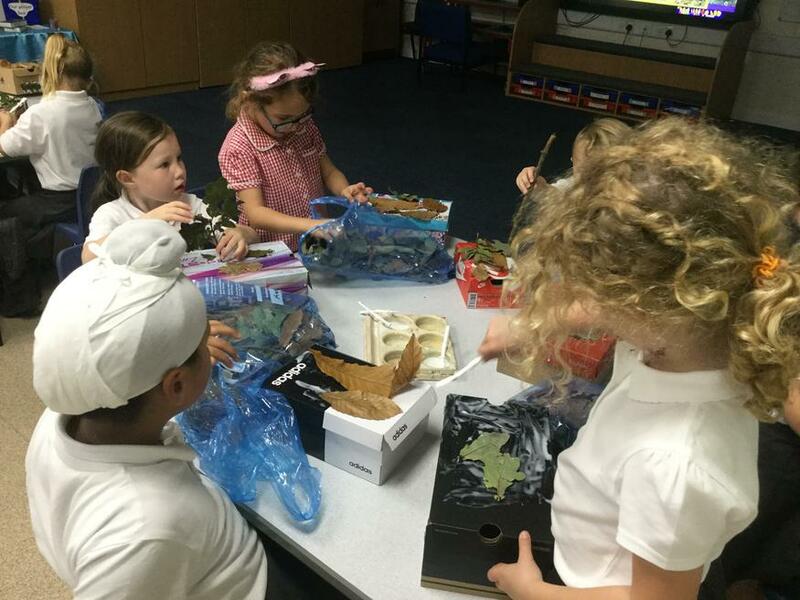 They have also been considering the animals that live there and the habitats they live in. 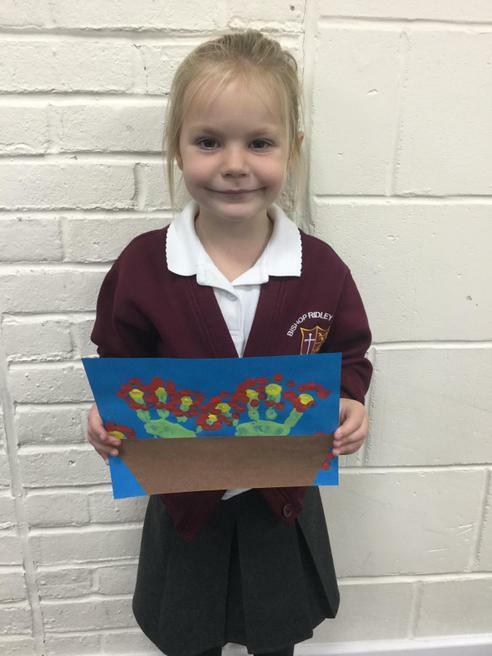 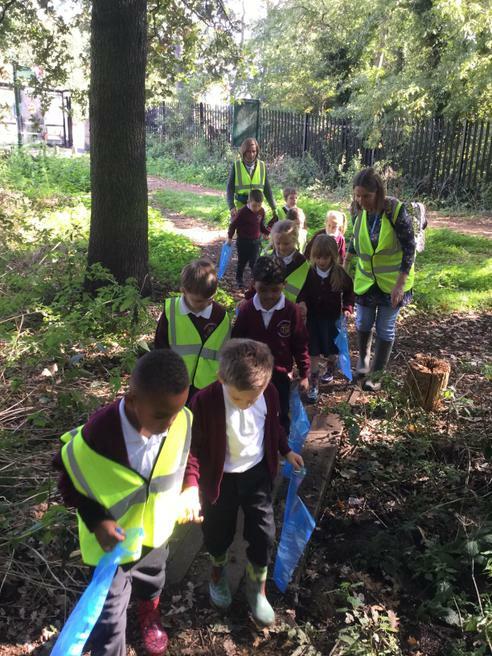 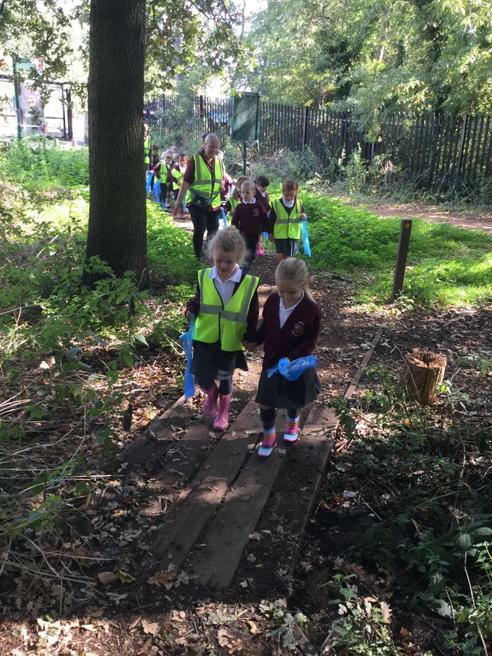 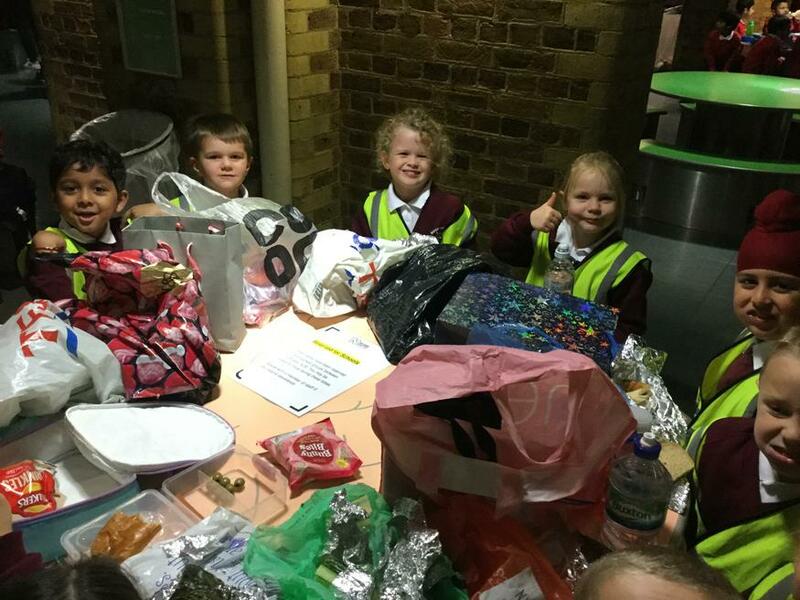 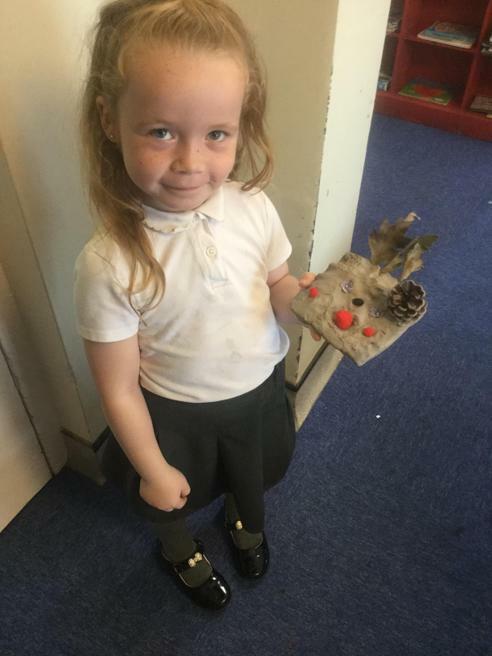 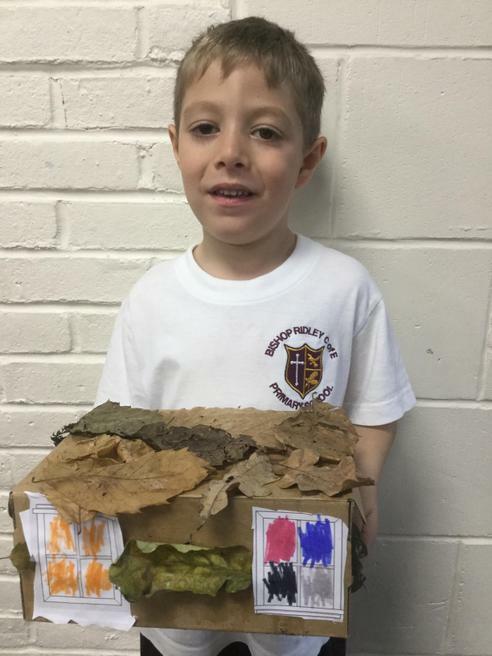 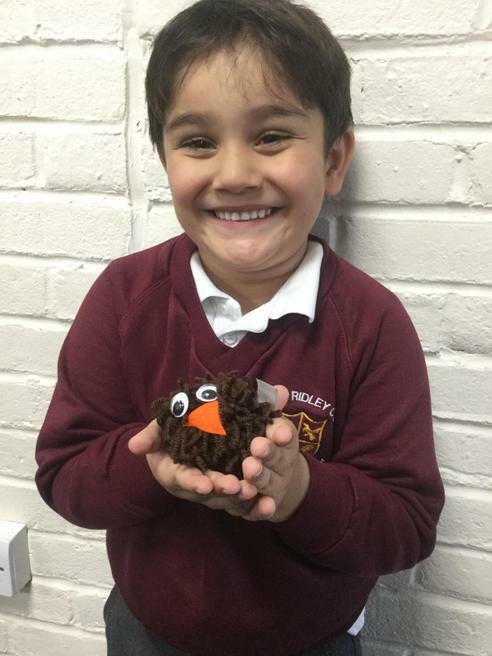 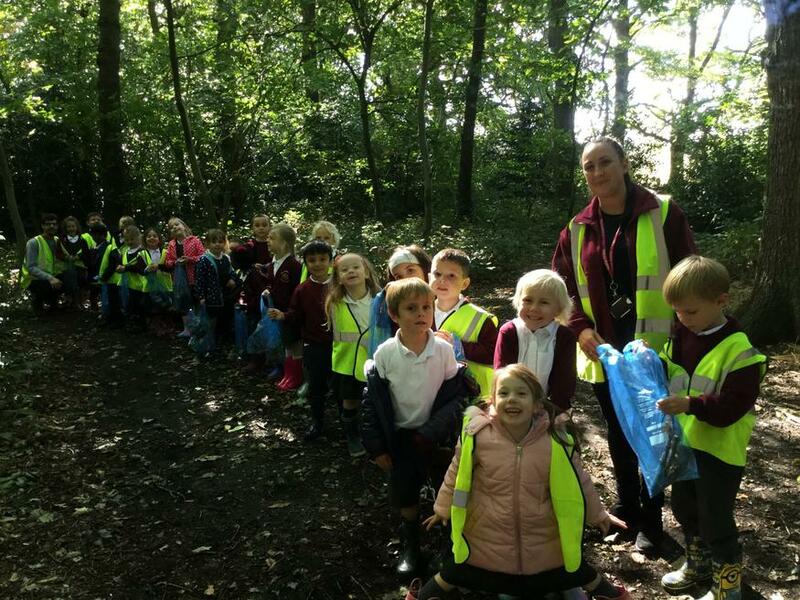 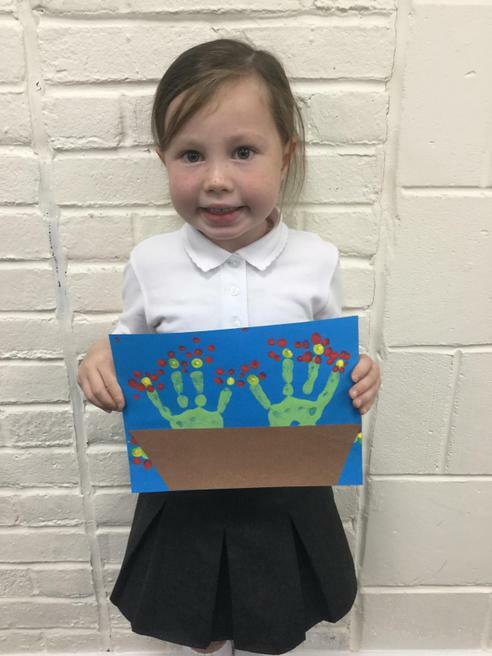 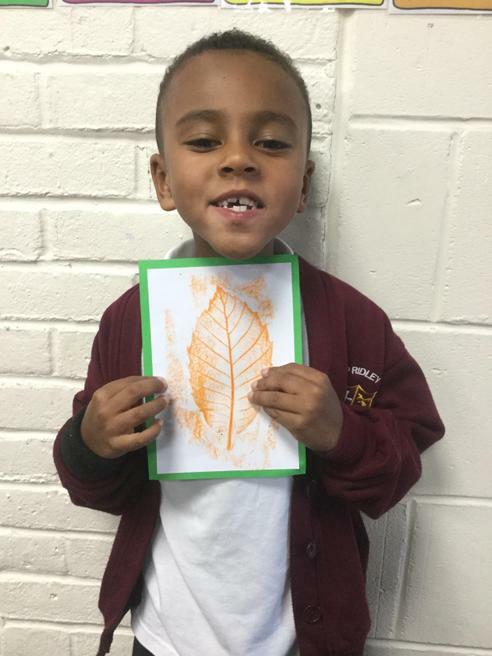 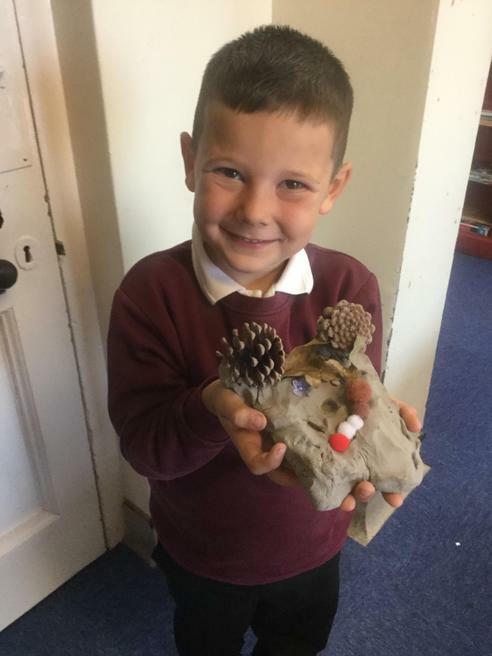 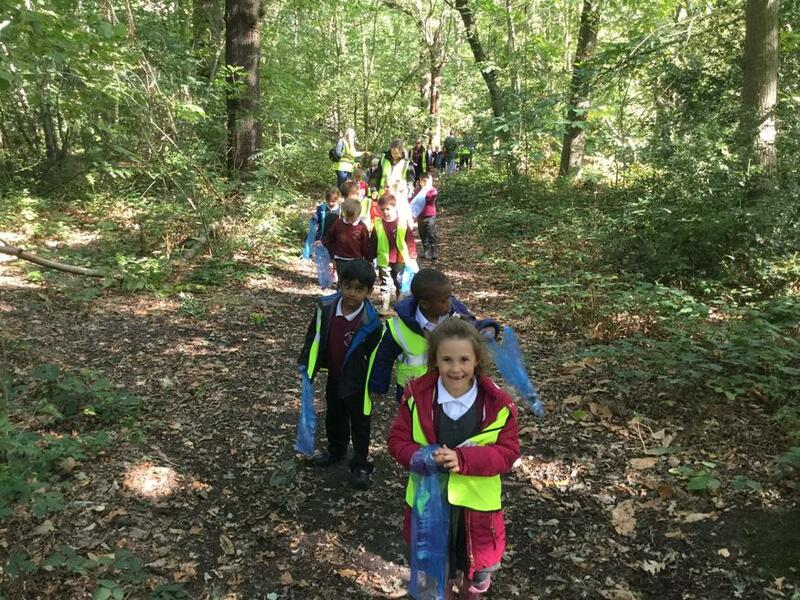 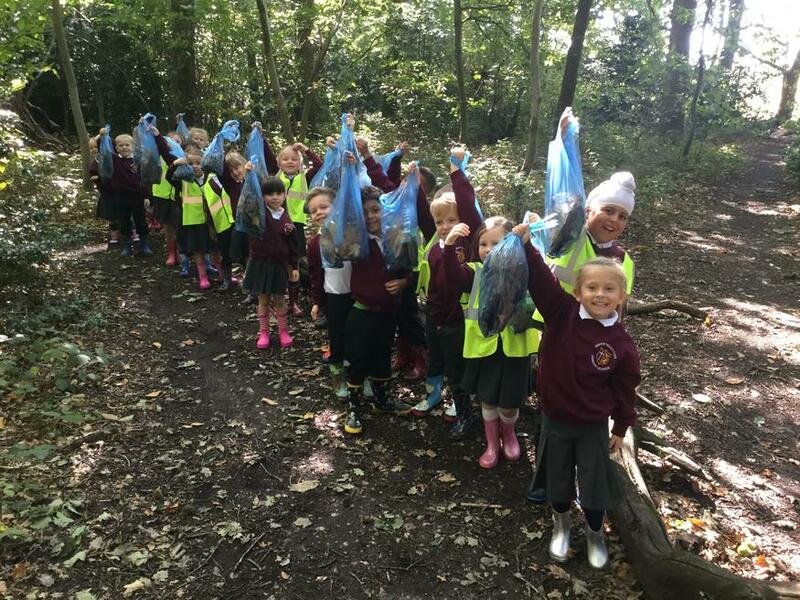 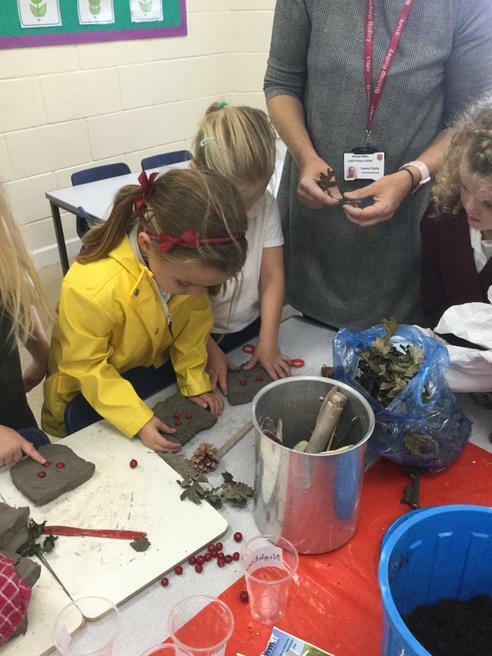 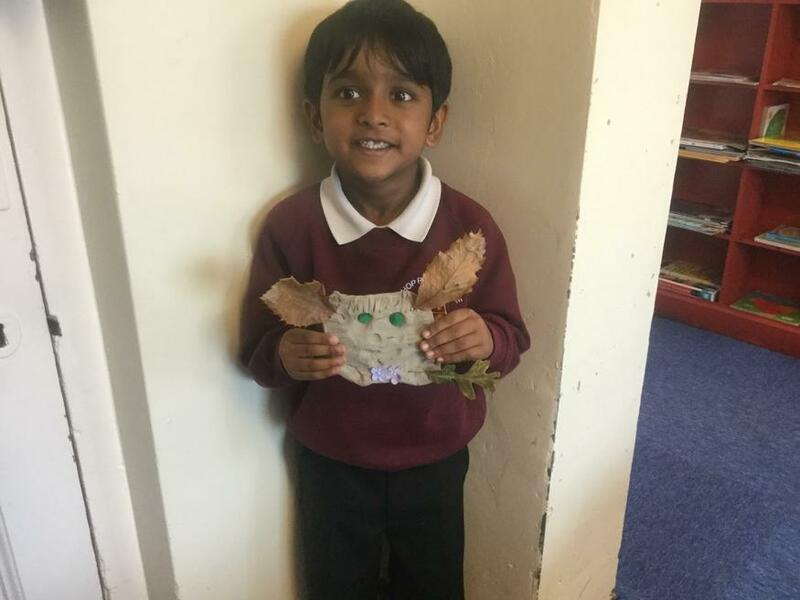 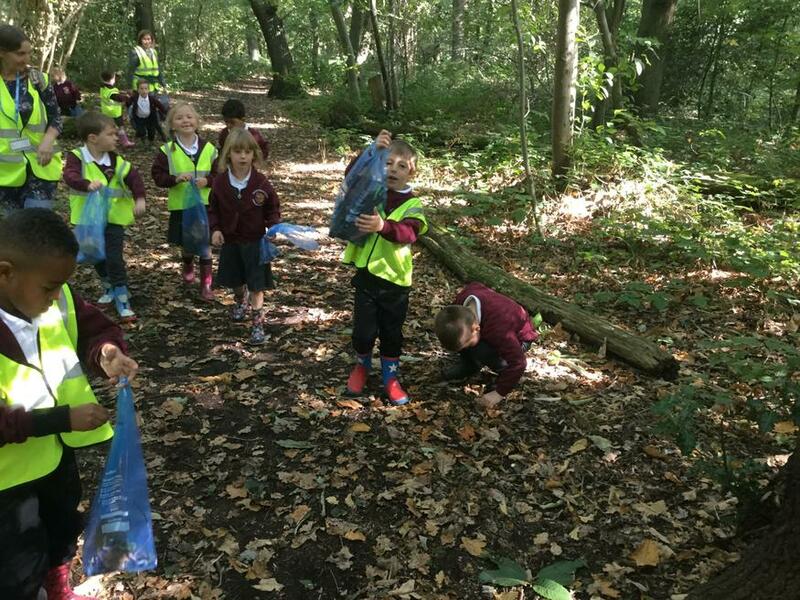 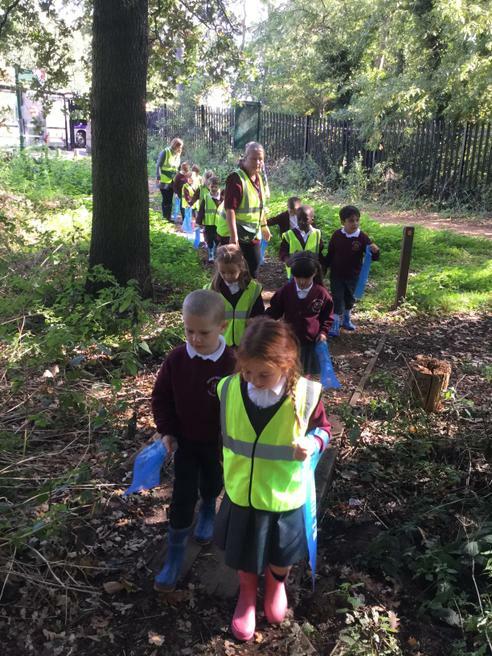 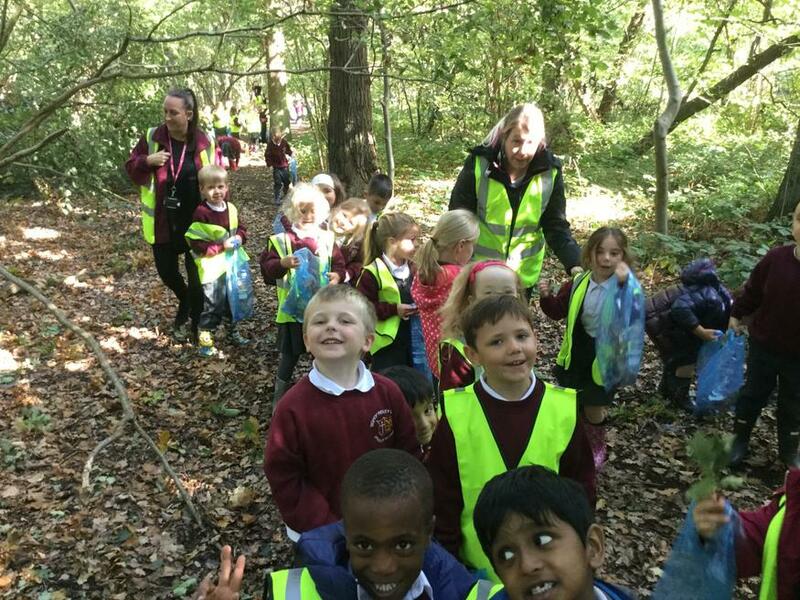 During the topic, the children visited Oxleas Woods to gain inspiration for their writing and collect various woodland objects such as leaves, twigs and moss to make their fairy houses. 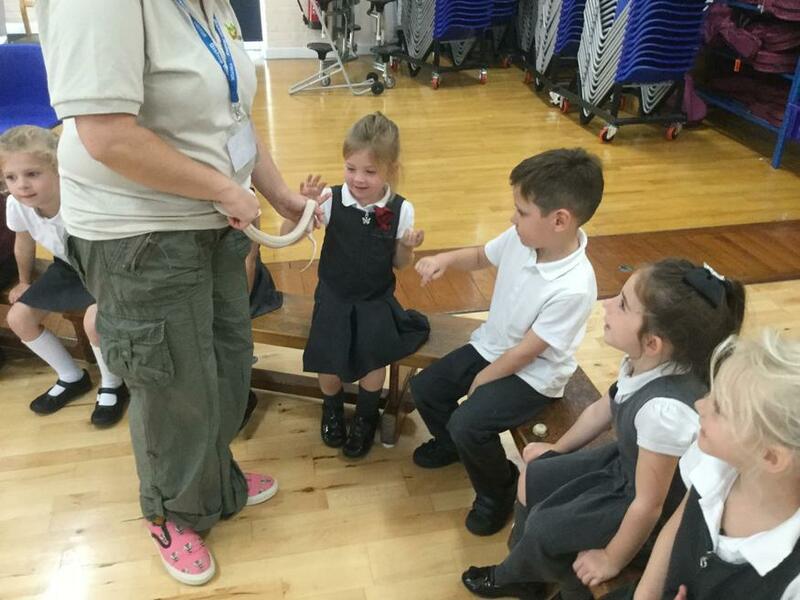 As part of our Enchanted Woodland theme the children were visited by the Wiggly Wild Show. 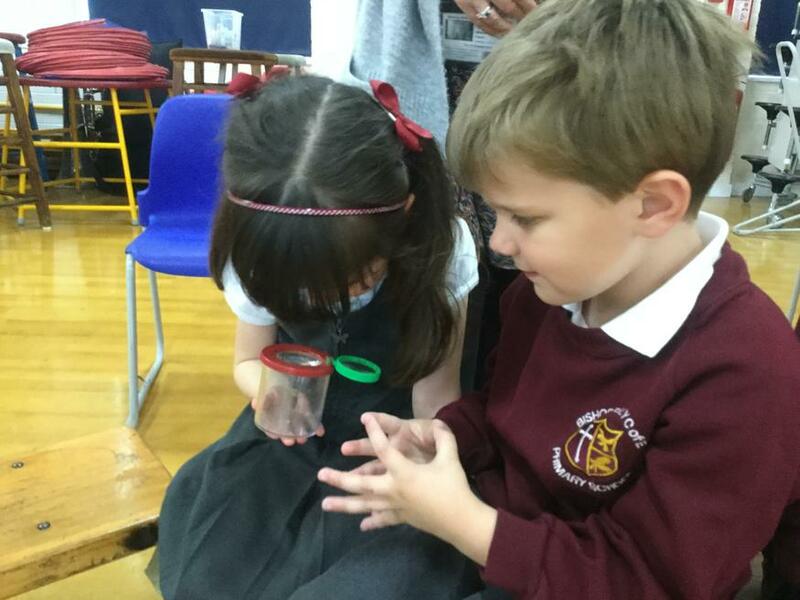 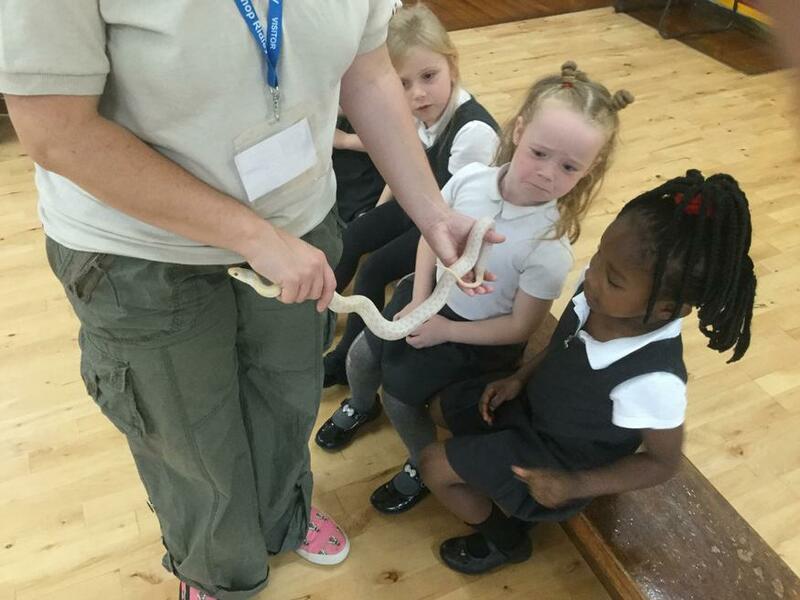 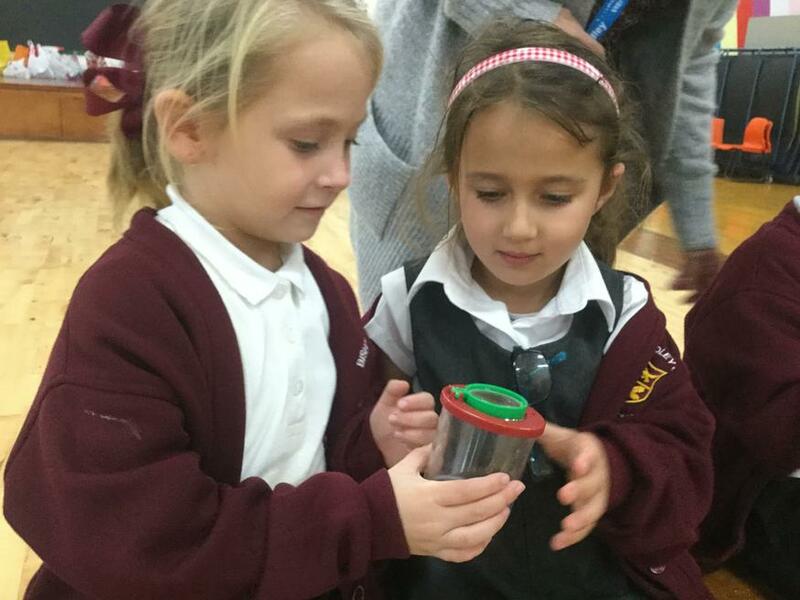 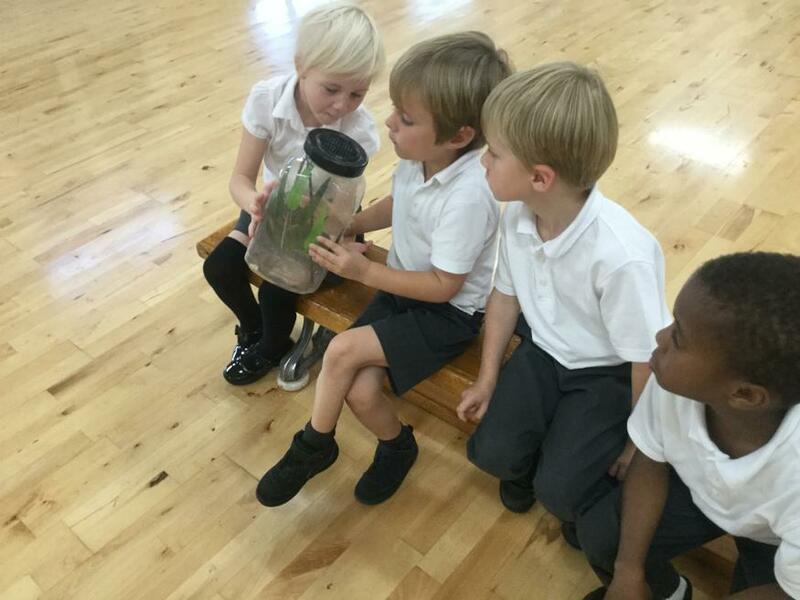 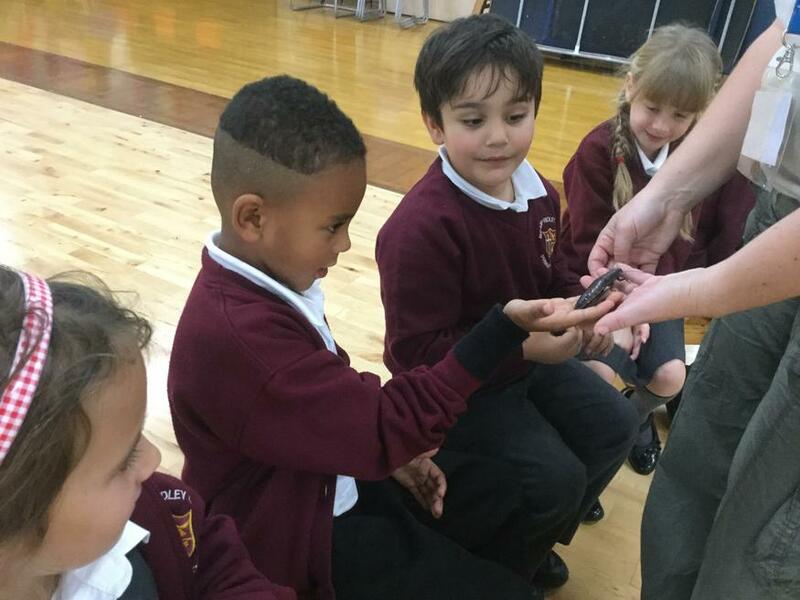 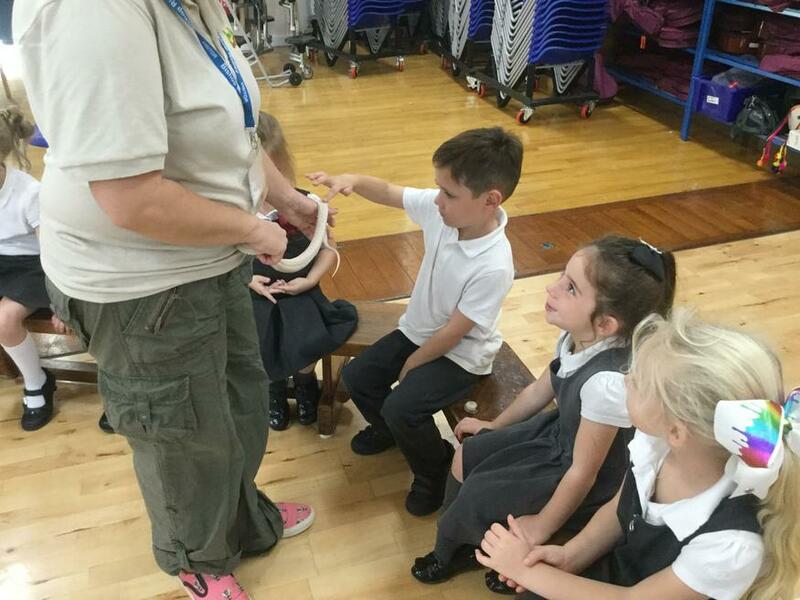 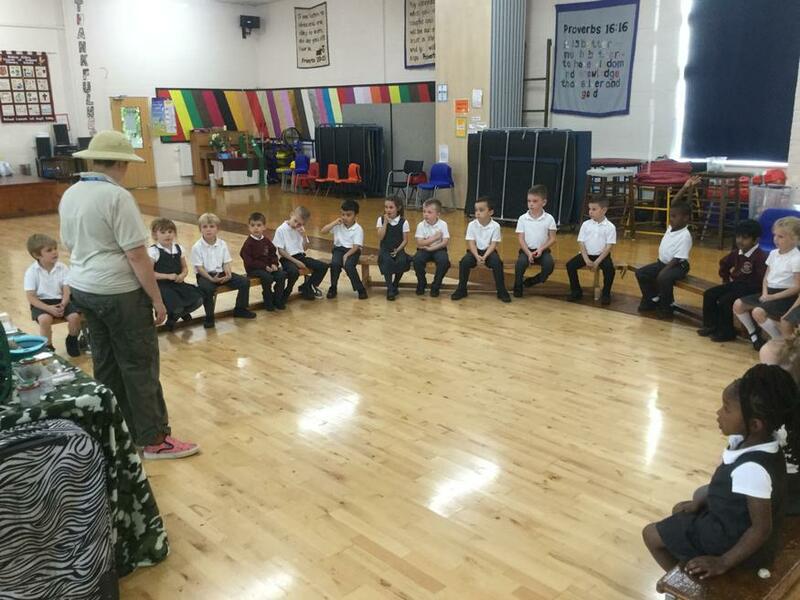 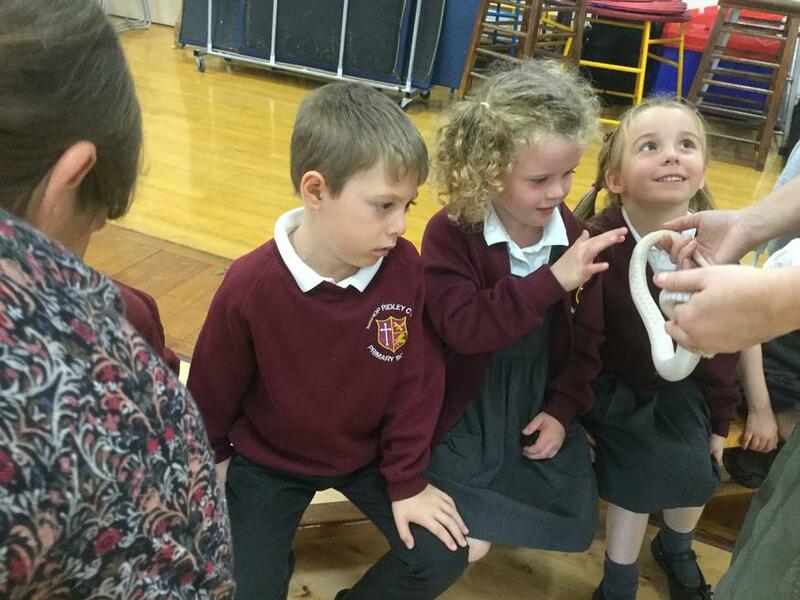 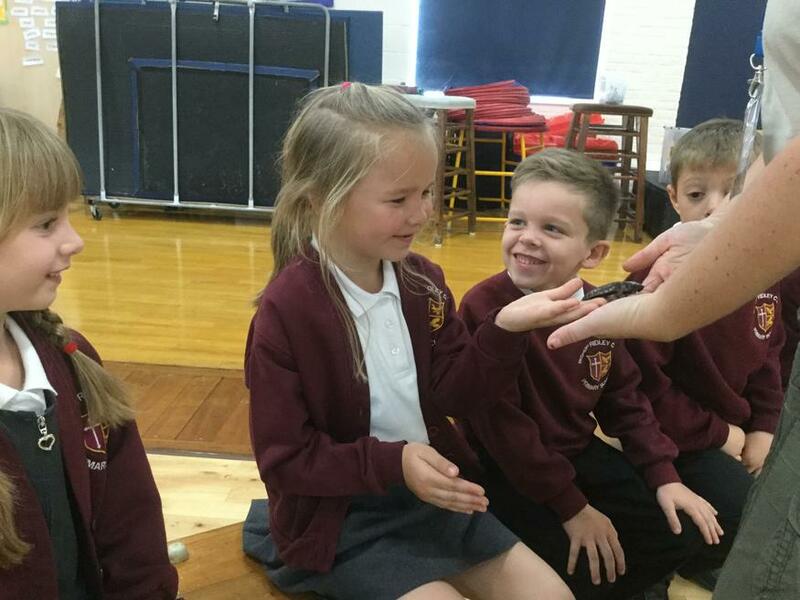 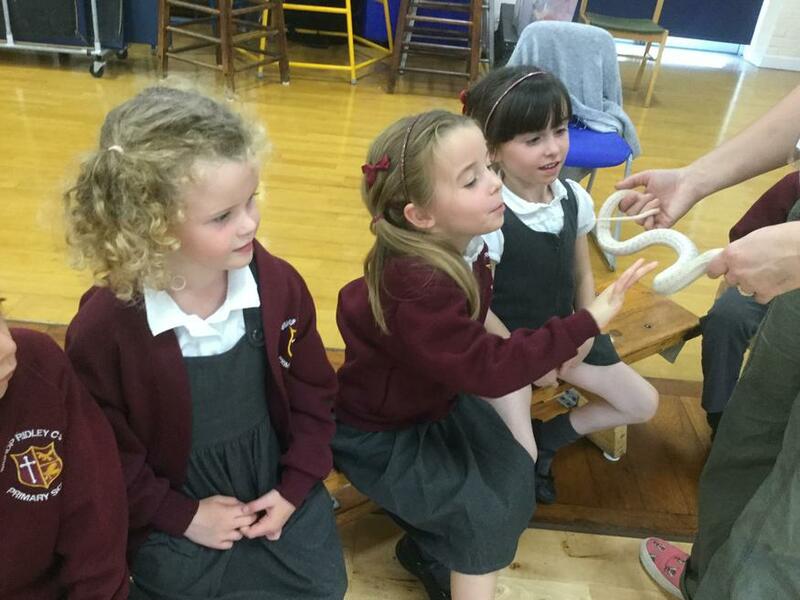 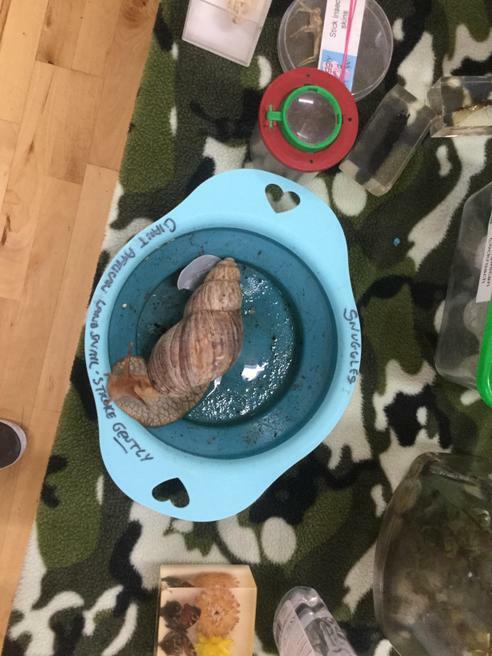 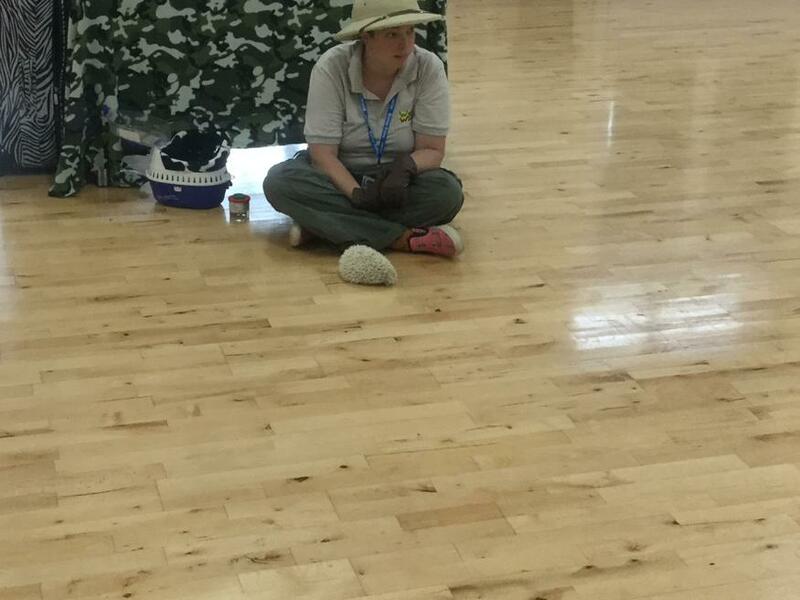 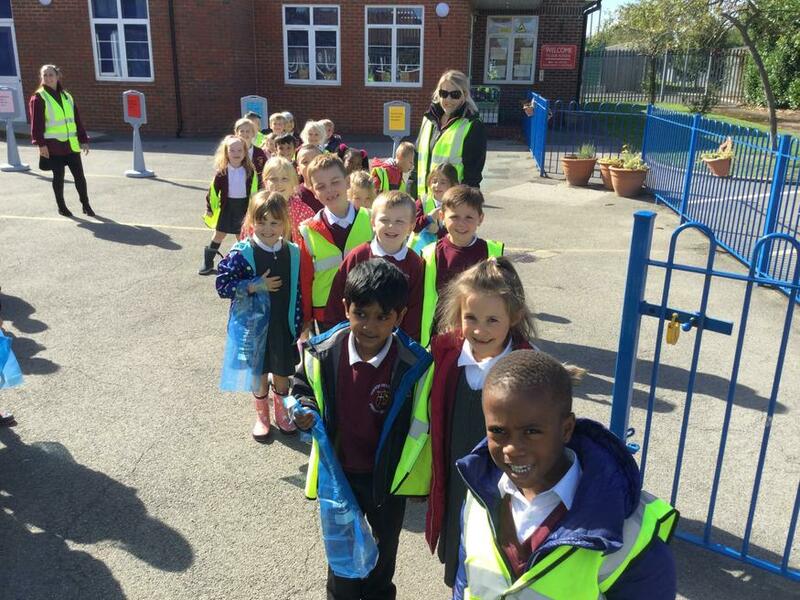 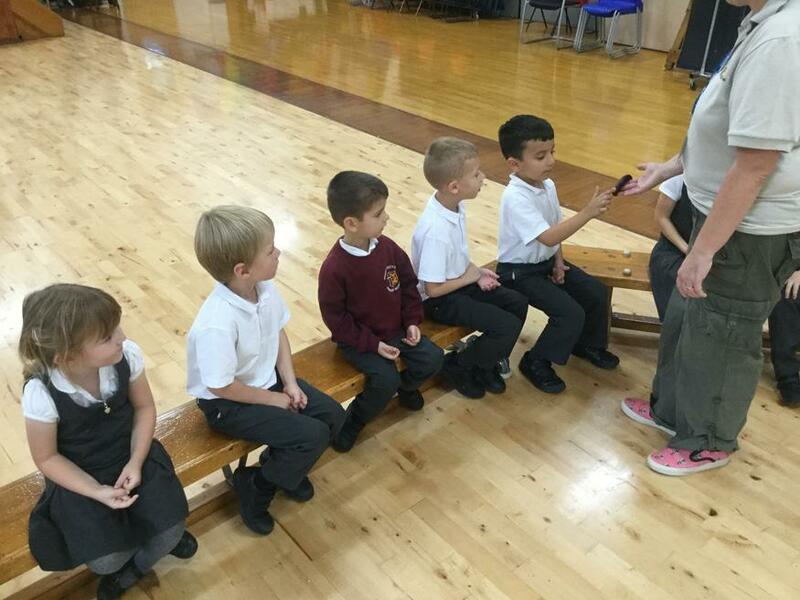 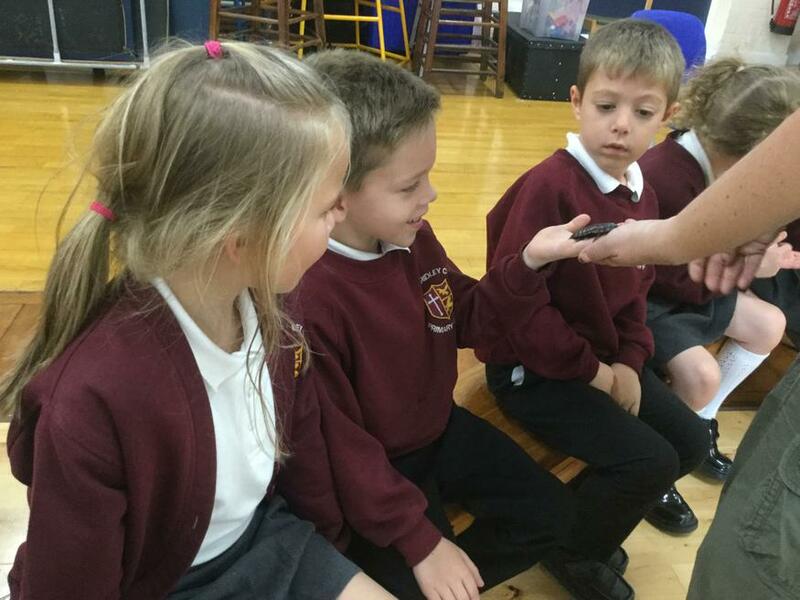 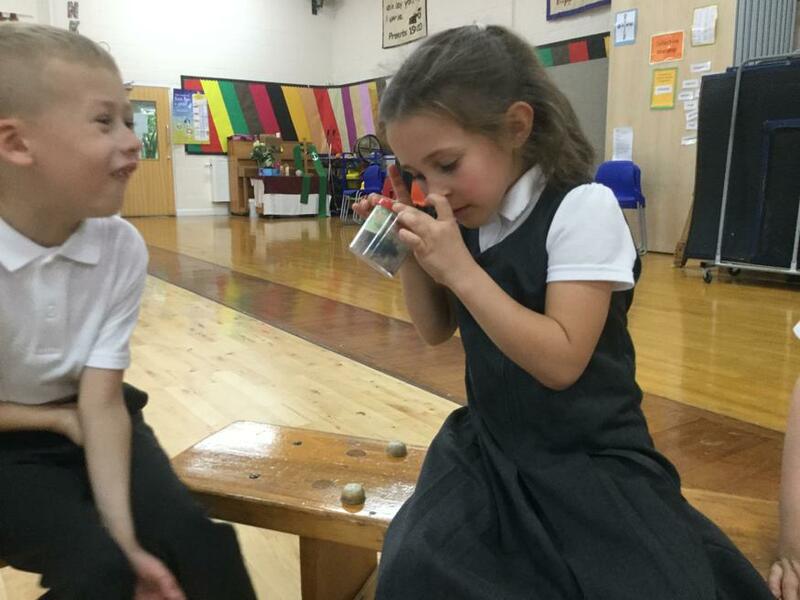 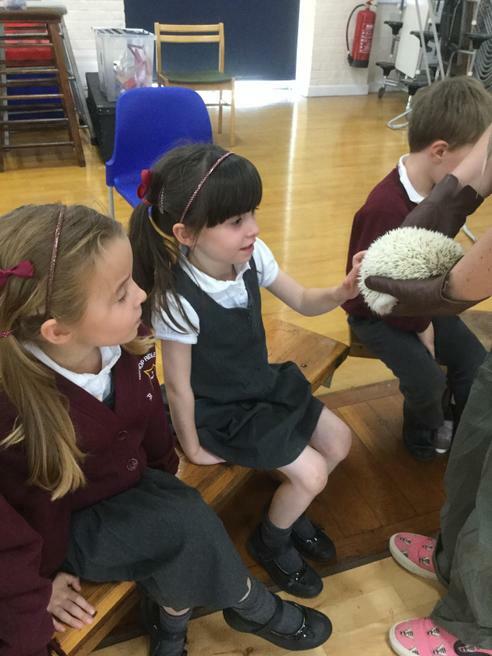 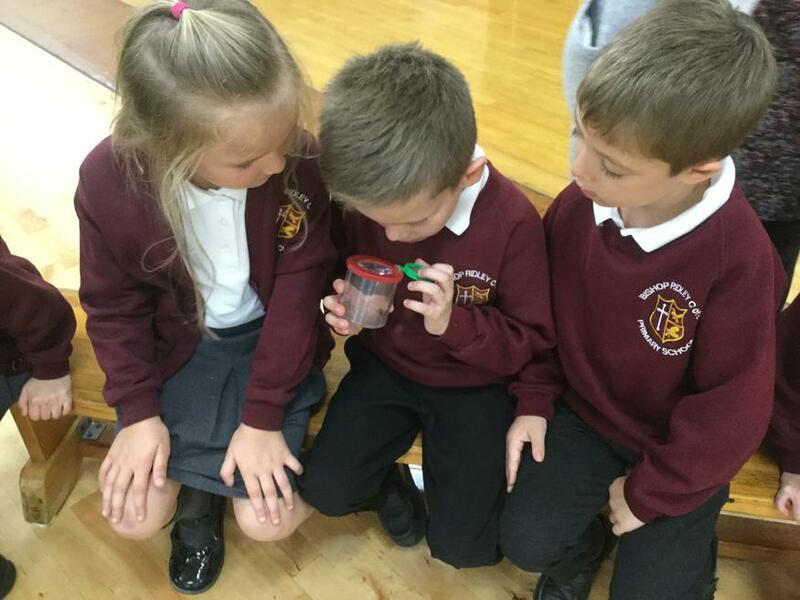 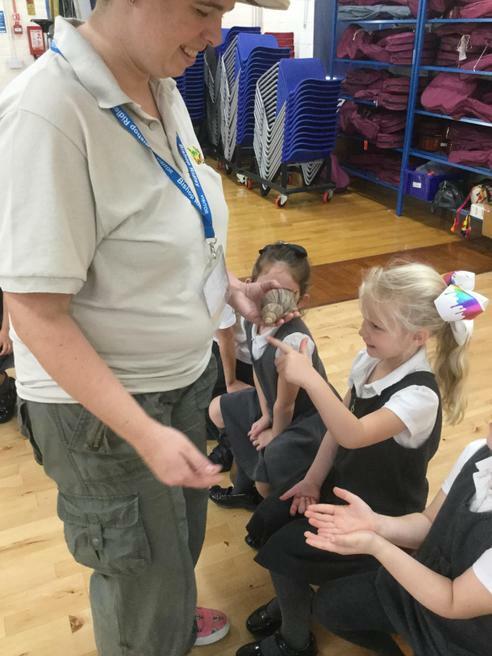 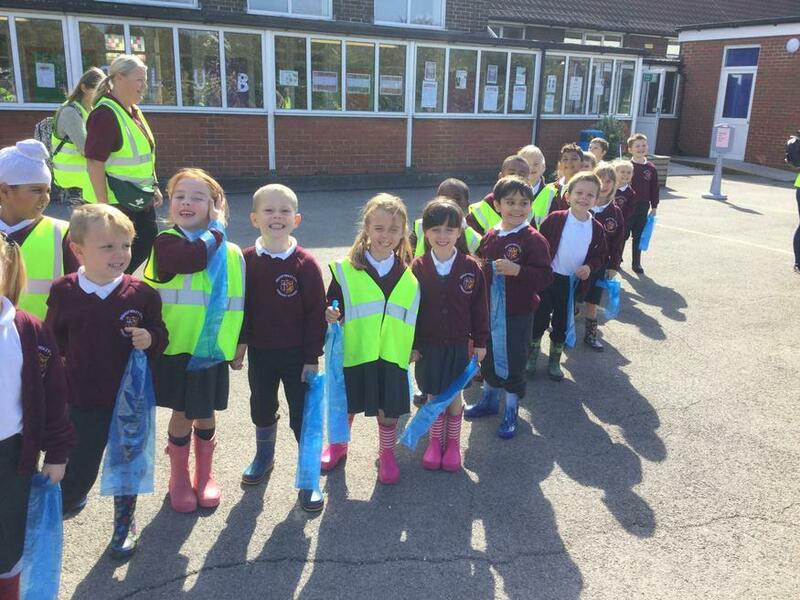 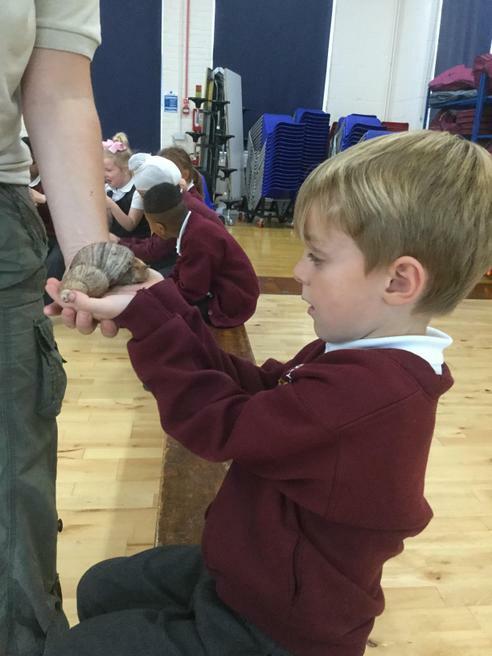 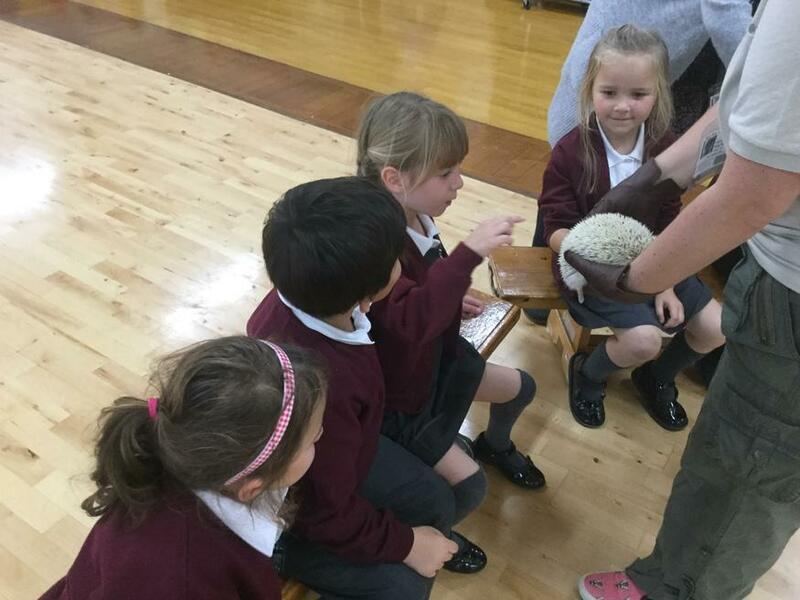 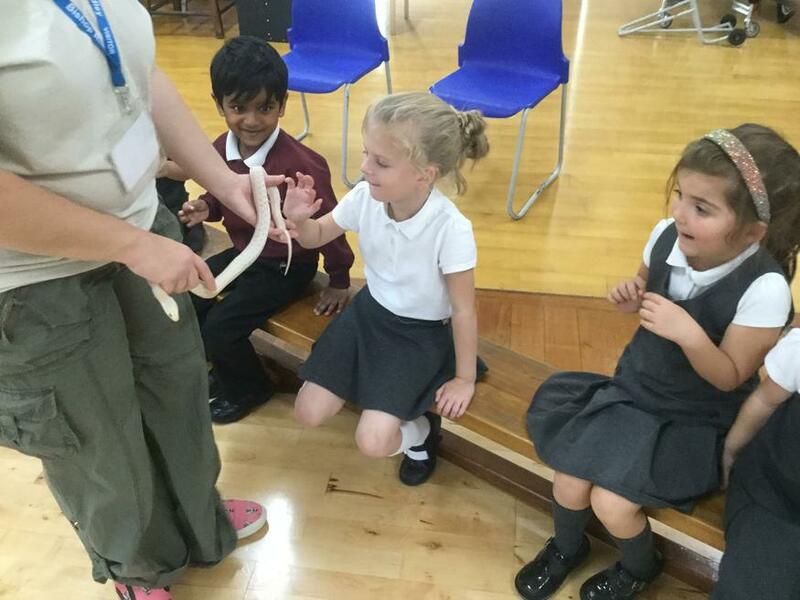 They were shown all sorts of different animals; ranging from insects to reptiles and even some small mammals. 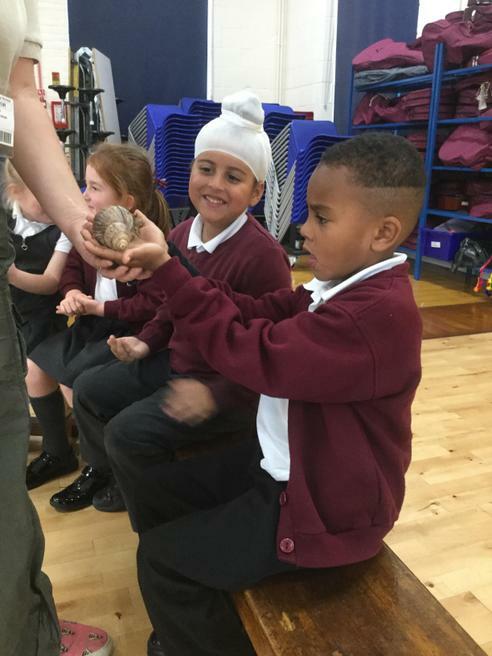 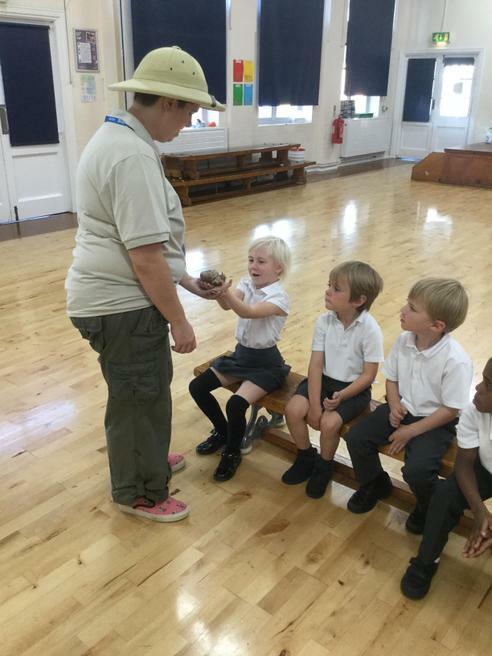 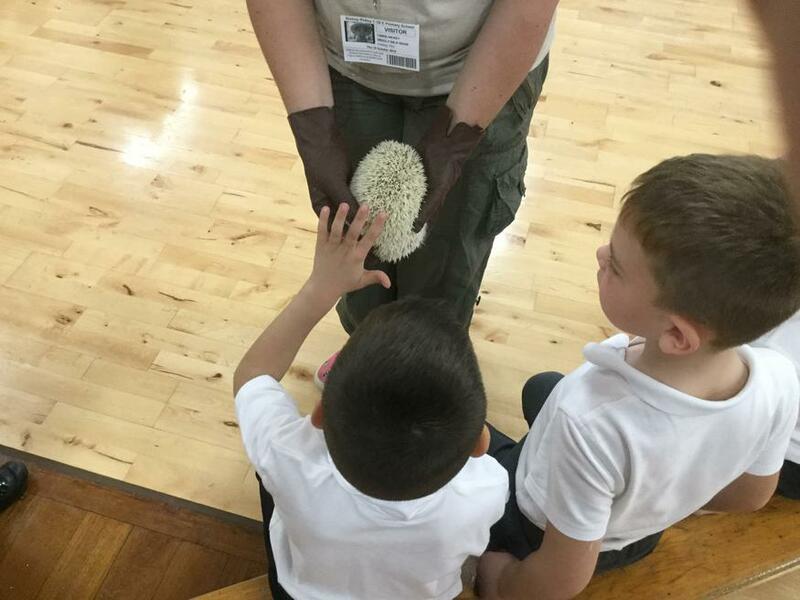 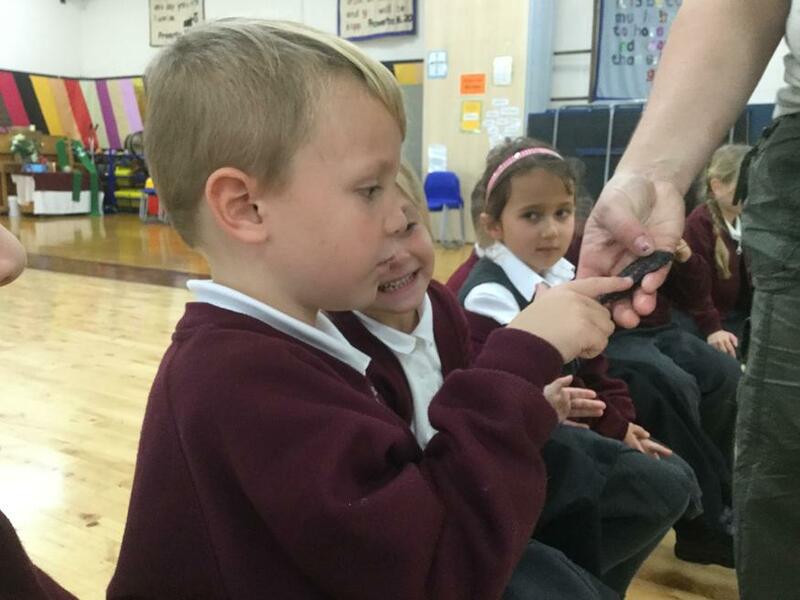 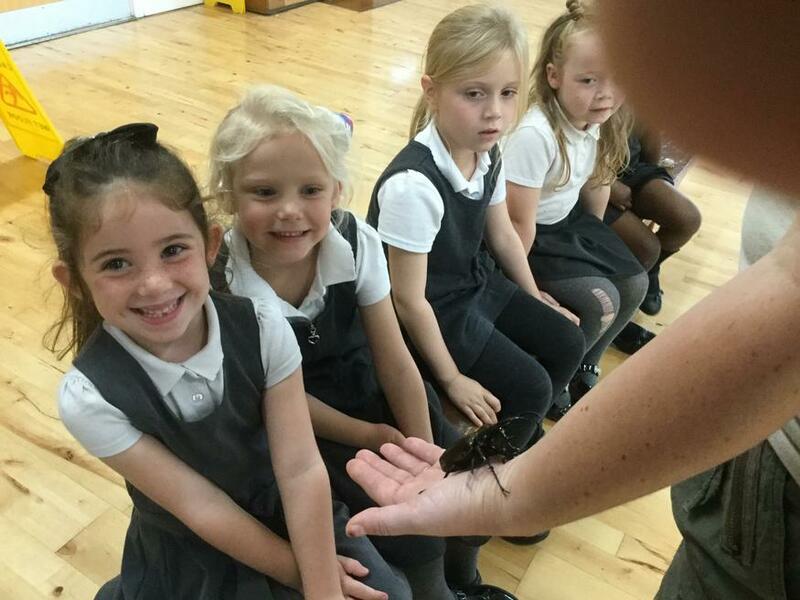 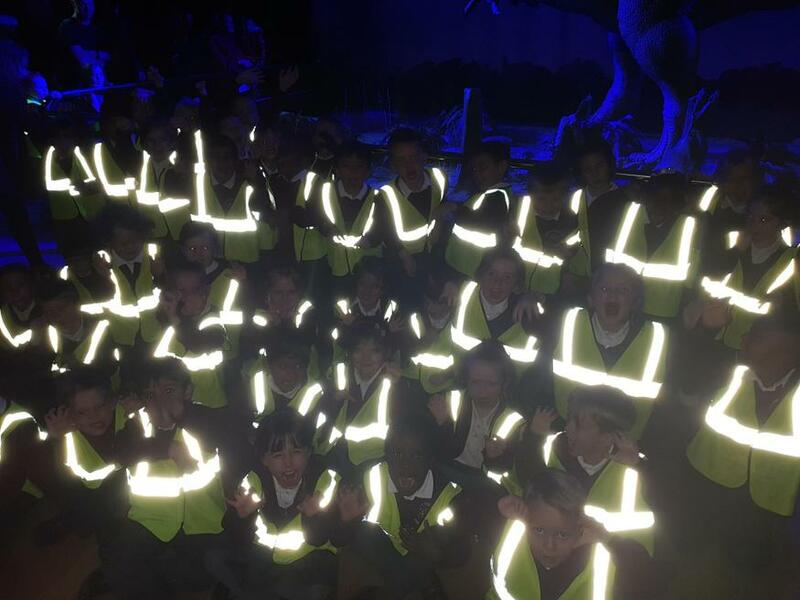 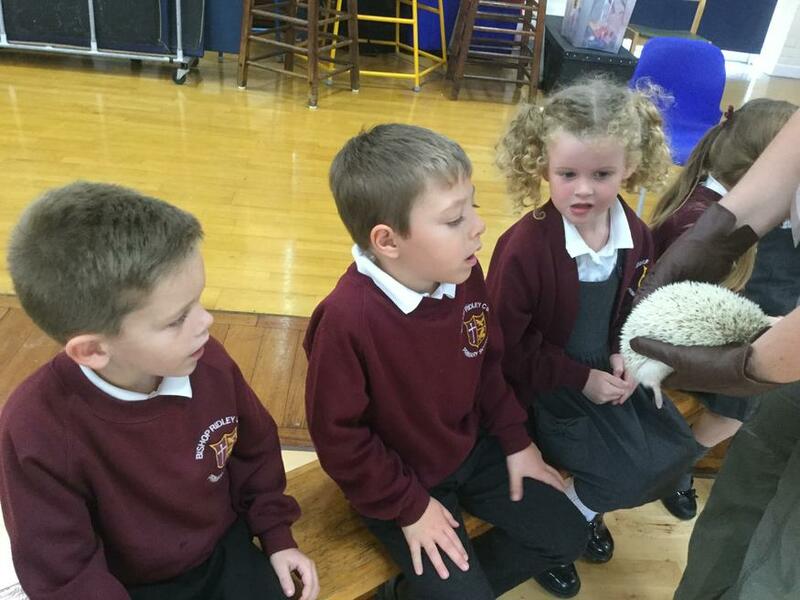 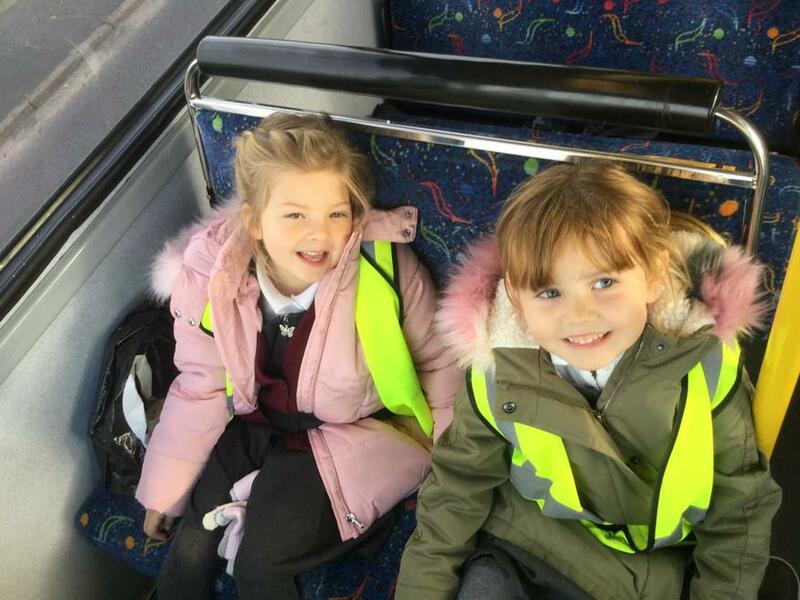 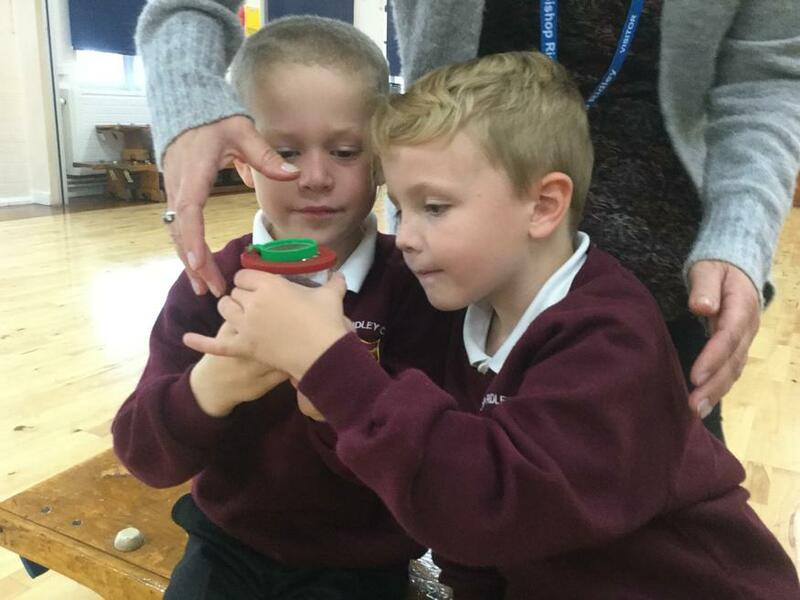 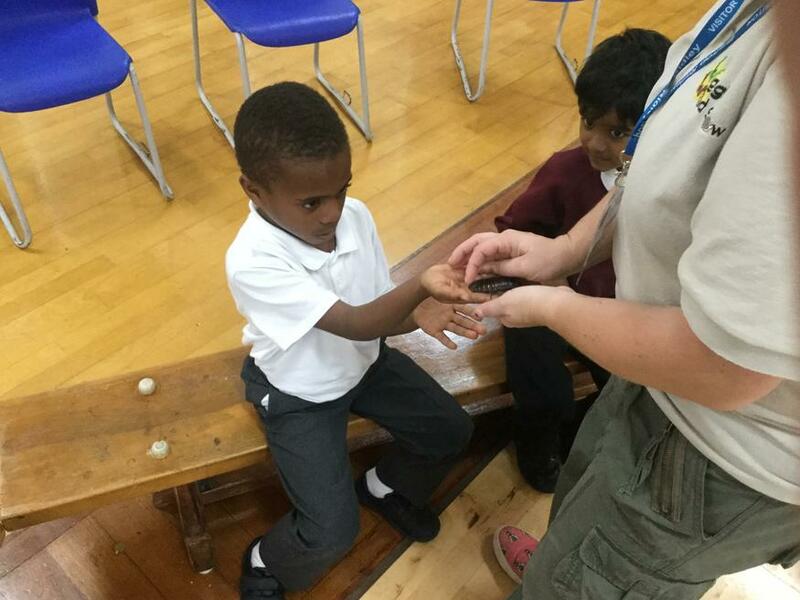 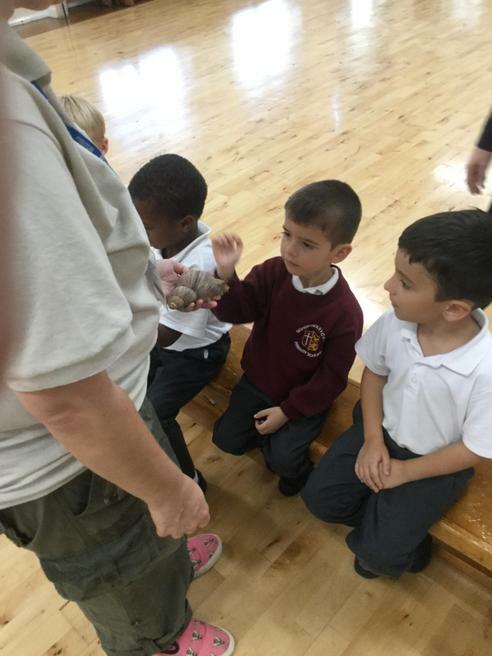 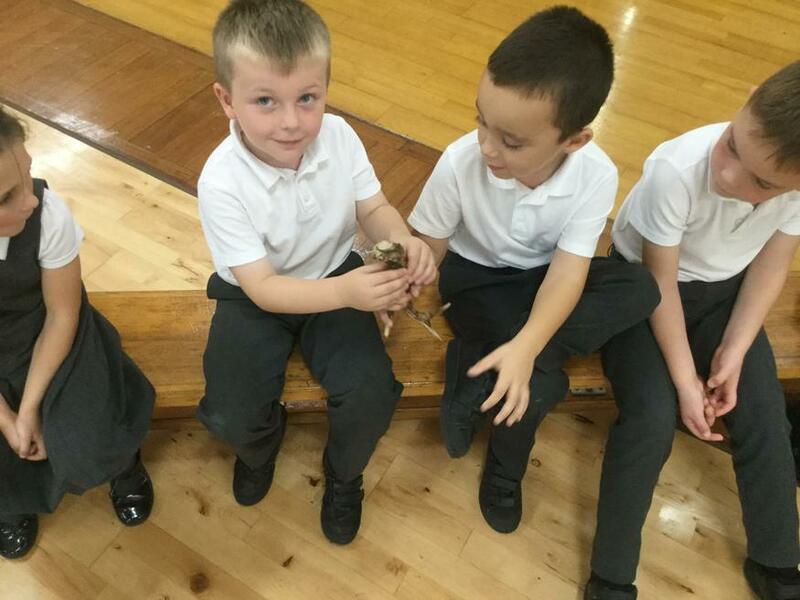 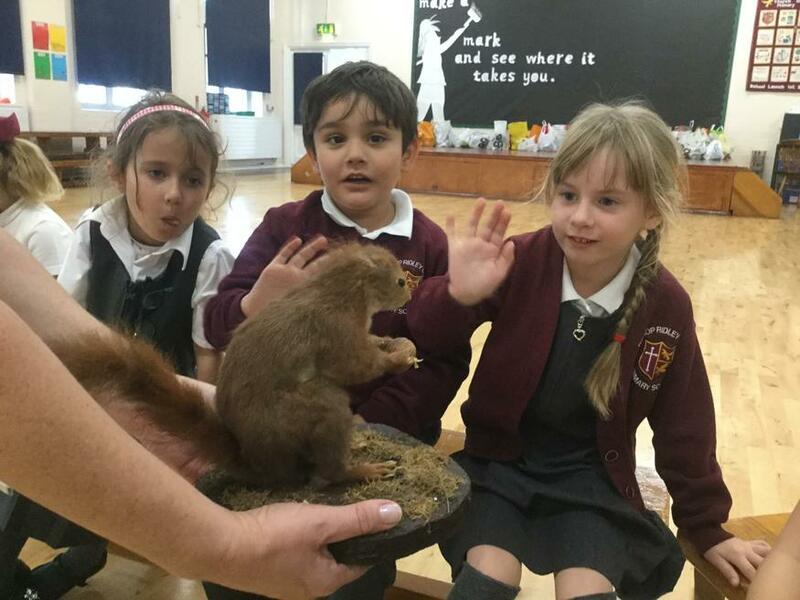 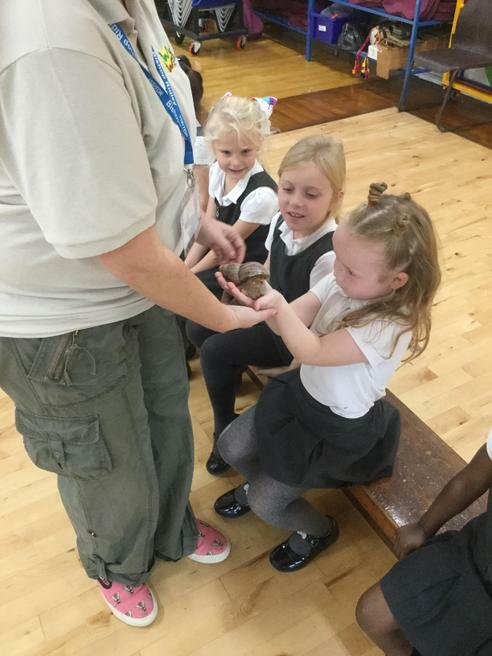 As well as looking at the animals they had a chance to touch and hold many of them and hear all about the habitats that they would normally been found in. 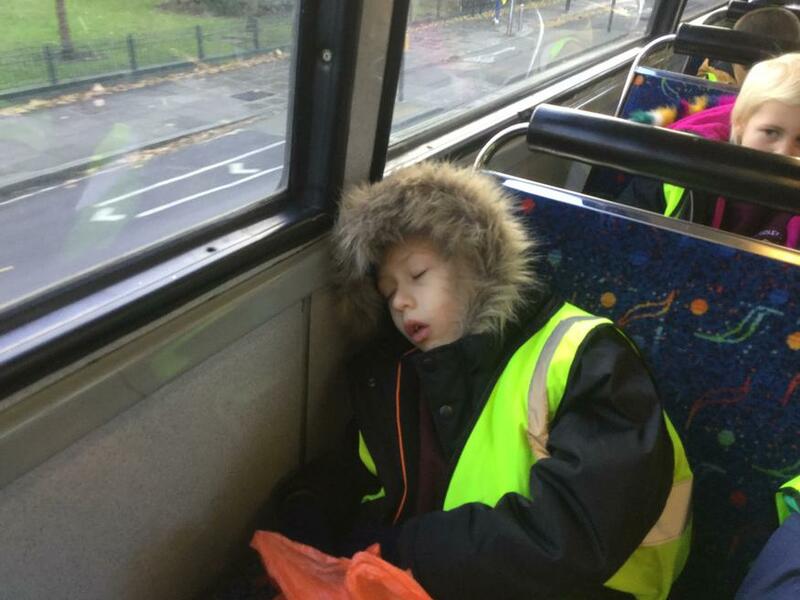 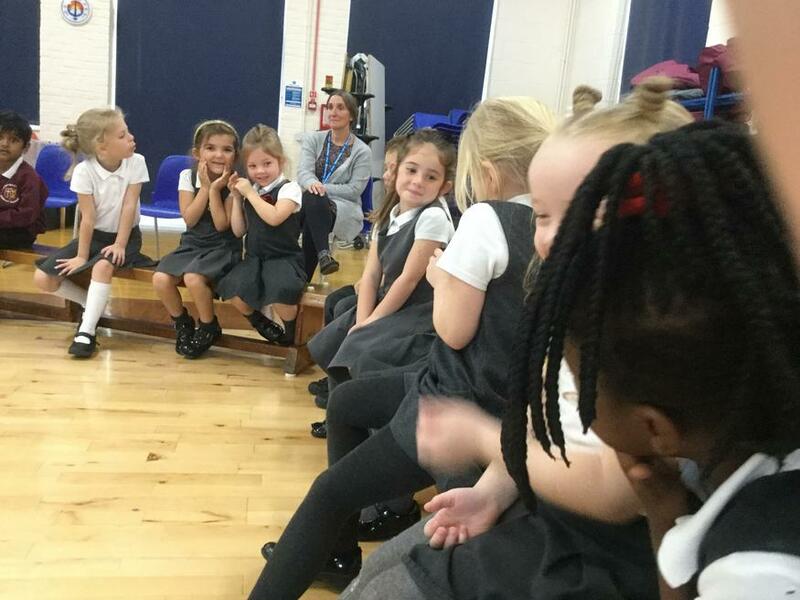 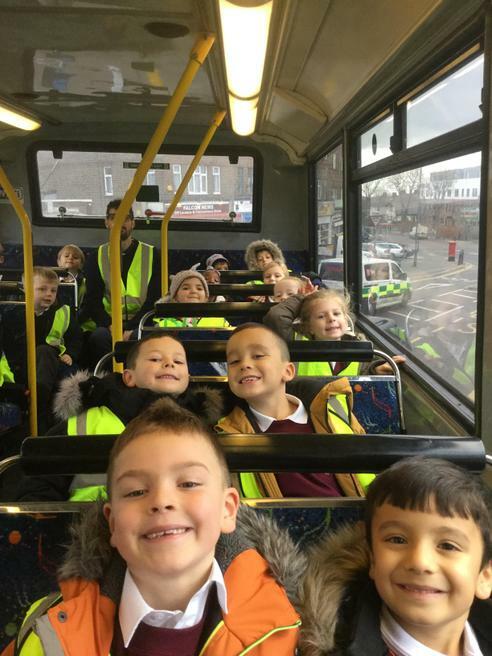 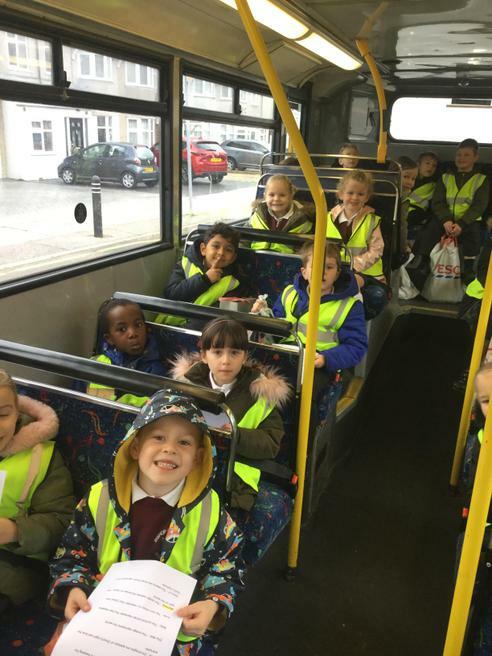 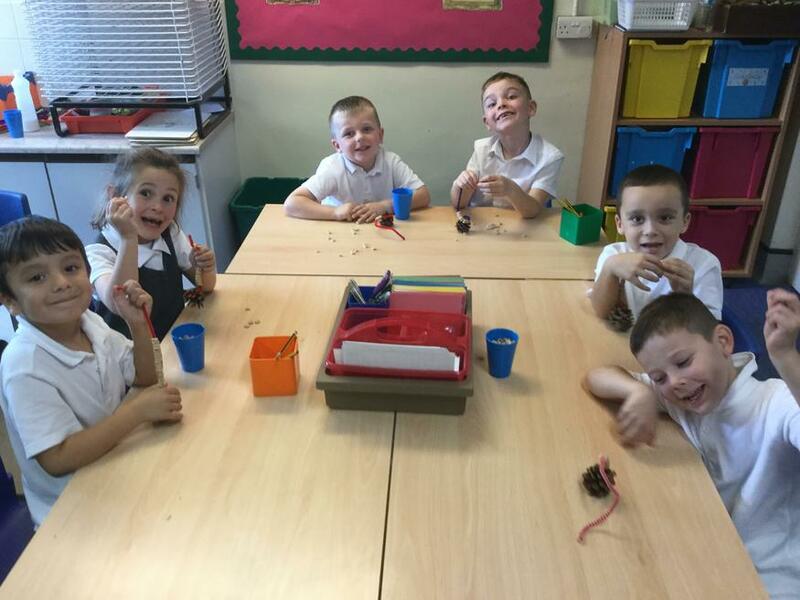 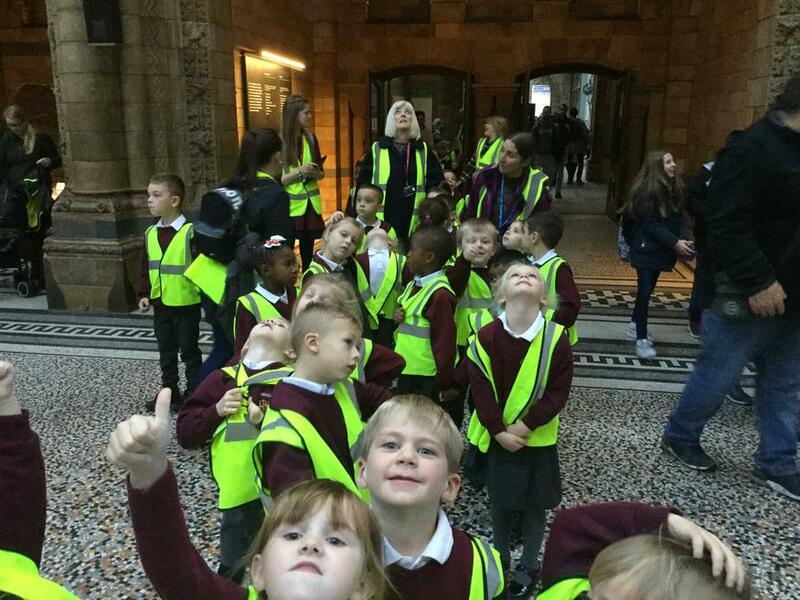 As you can see the children thoroughly enjoyed themselves. 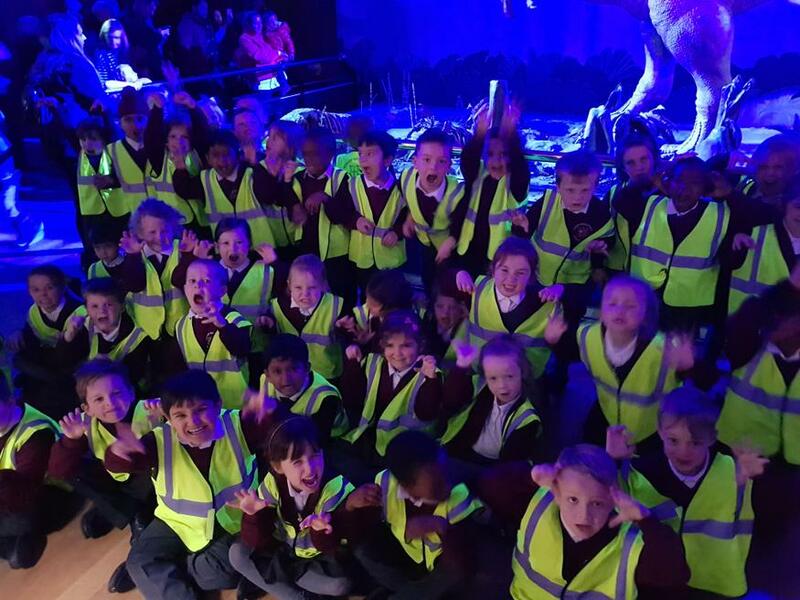 This half term our Cornerstones theme is called Dinosaur Planet. 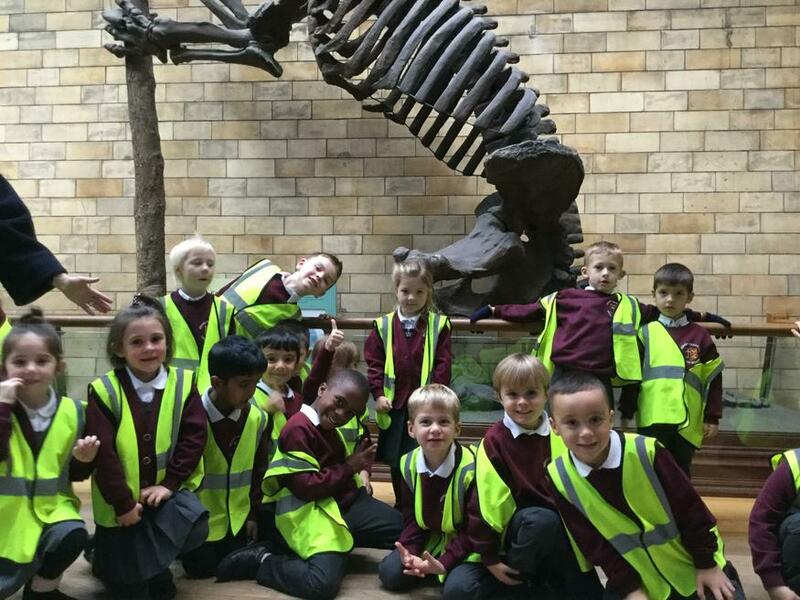 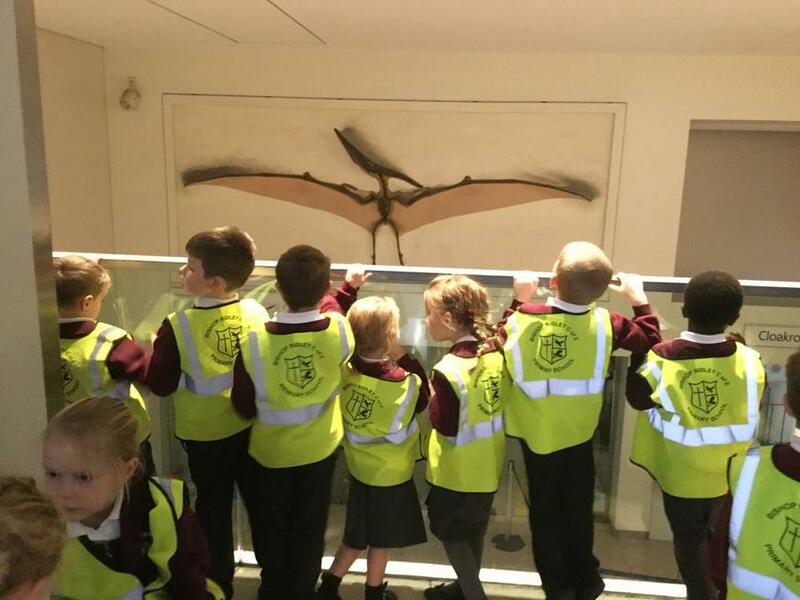 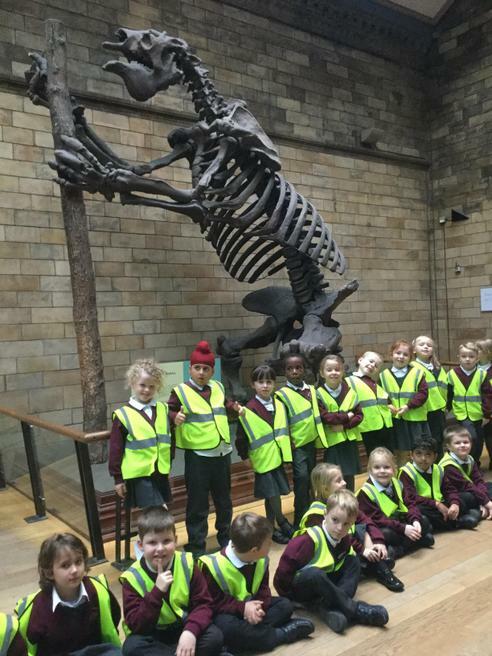 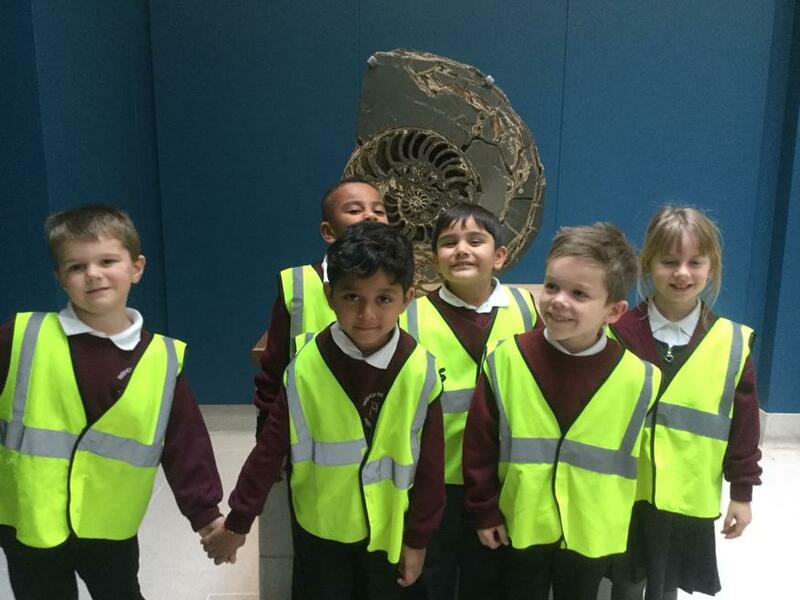 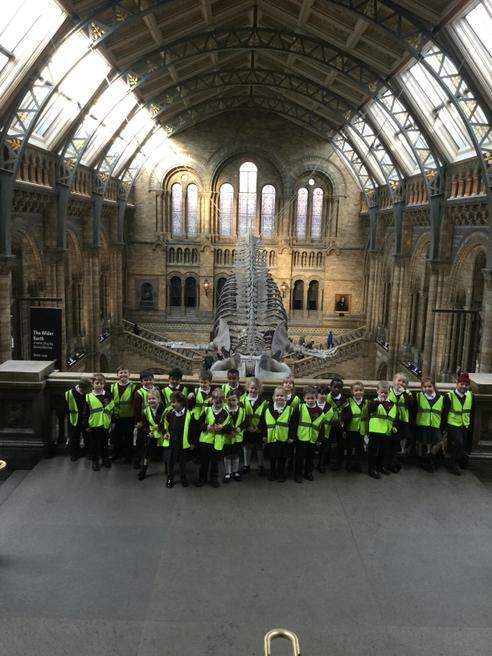 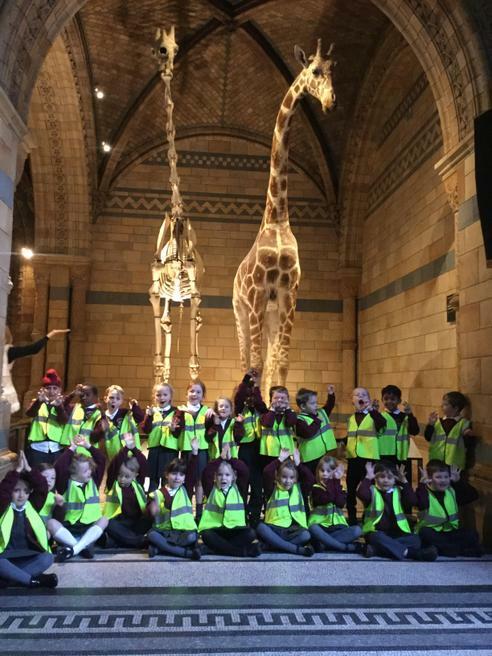 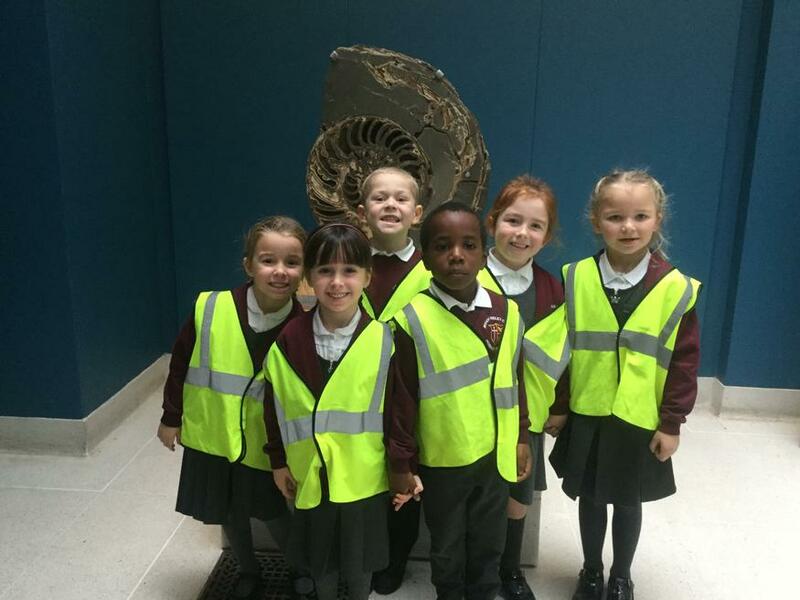 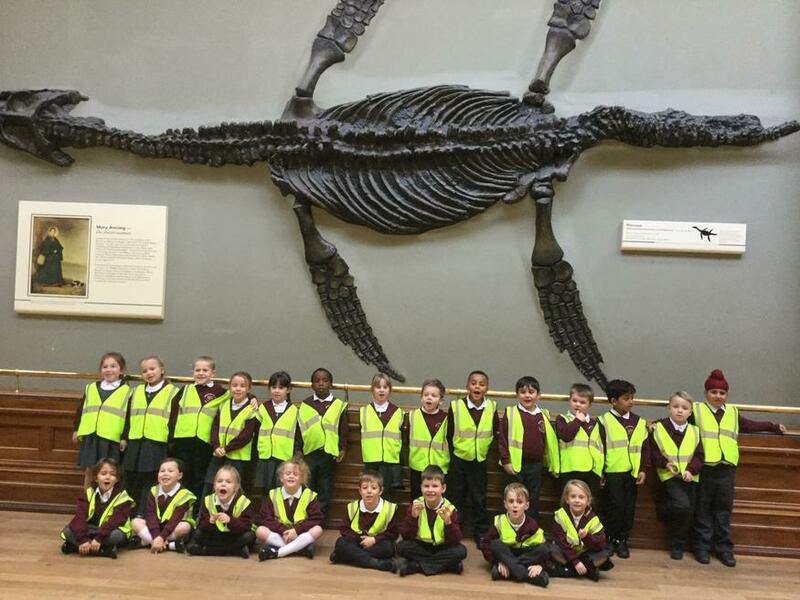 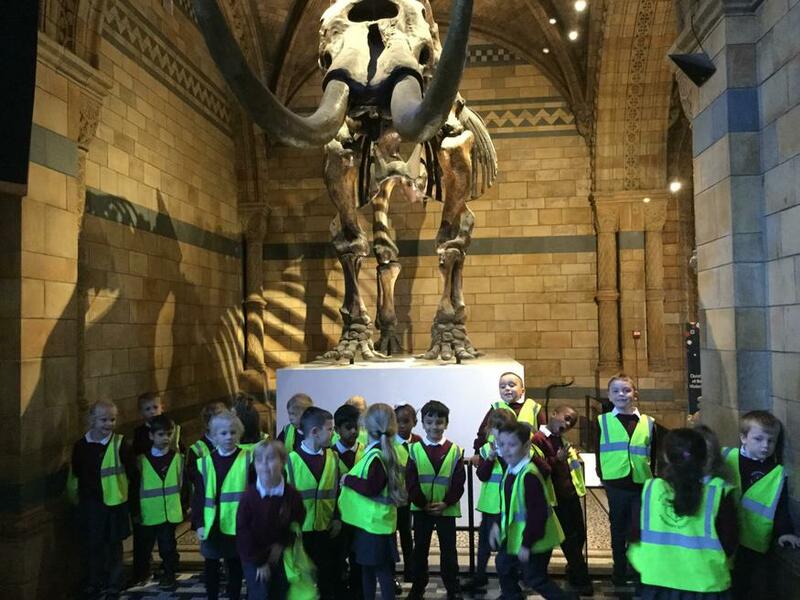 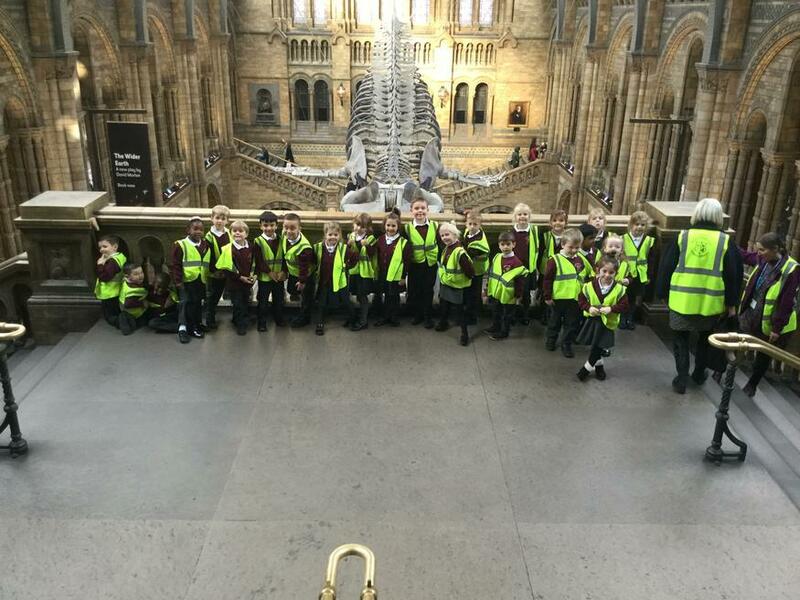 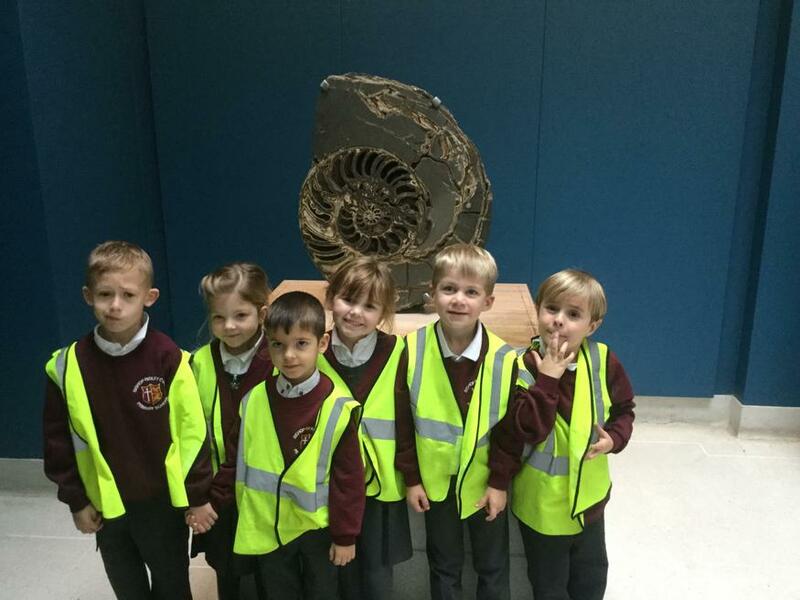 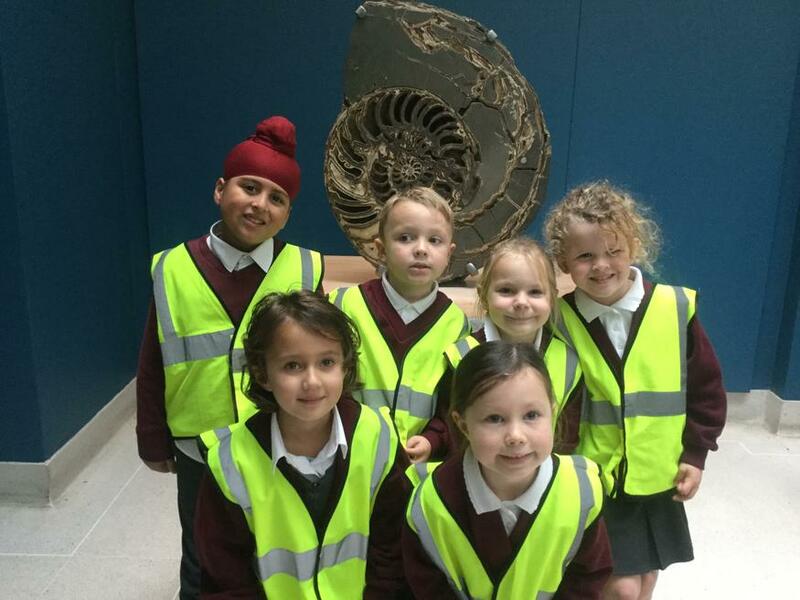 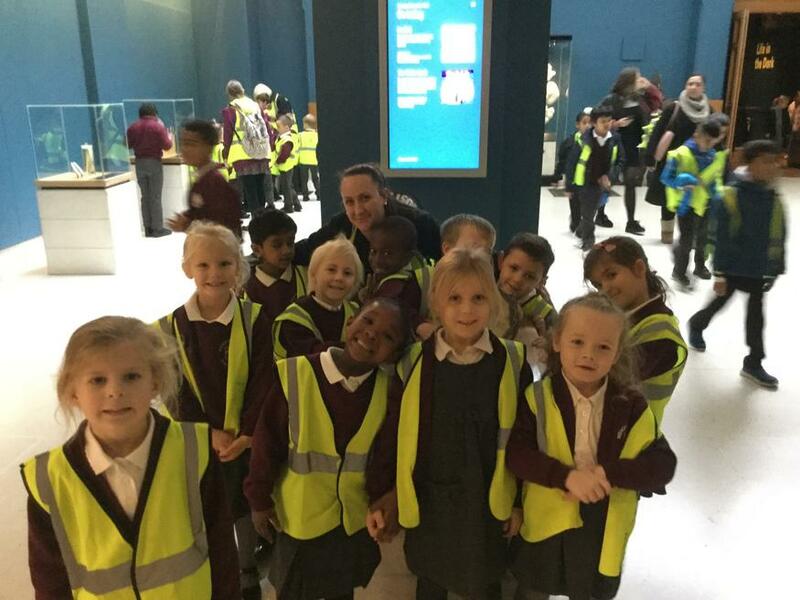 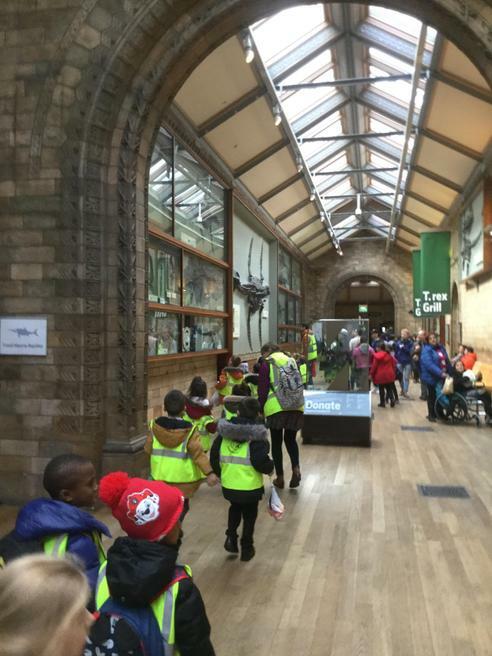 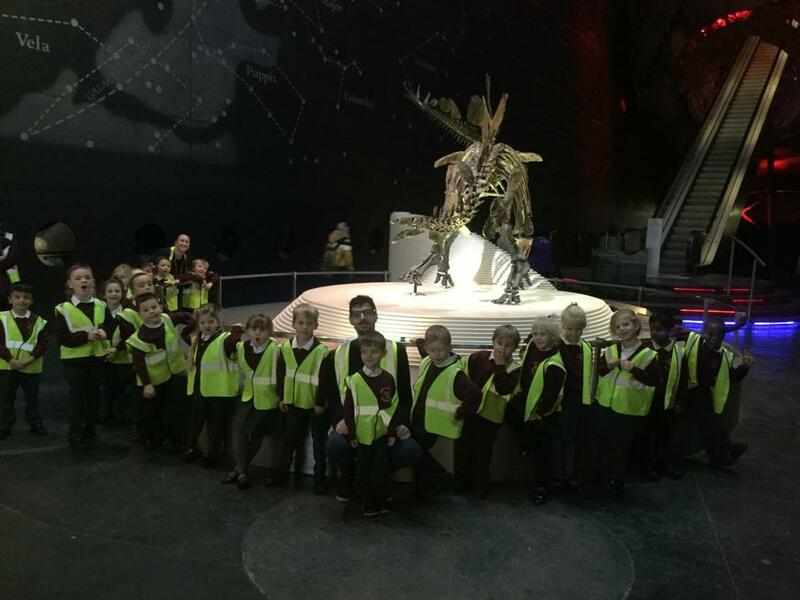 To help the children in both their writing and their afternoon topic lessons a visit to the Natural History Museum was needed. 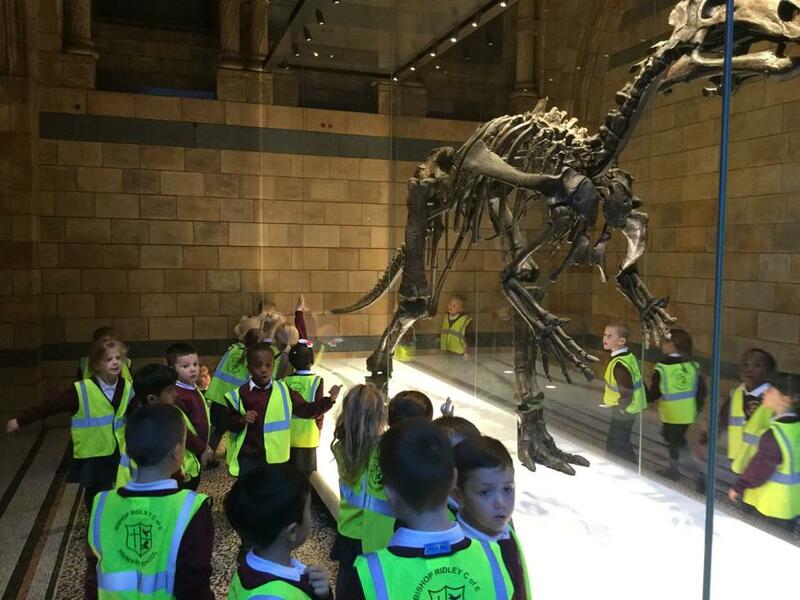 The students had the chance to explore different areas of the museum that focused on both dinosaurs and fossils from different time periods.